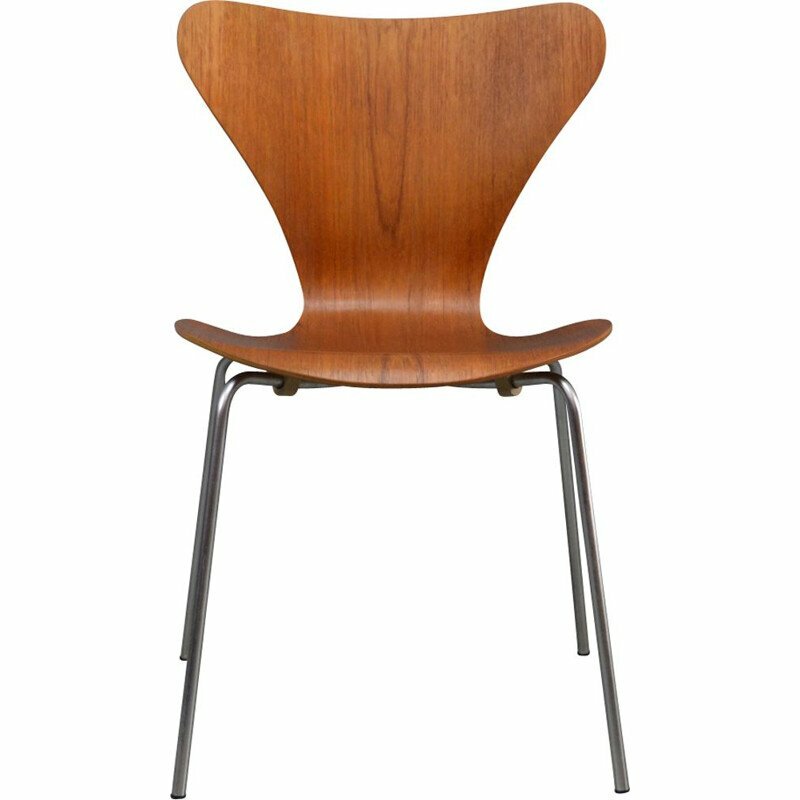 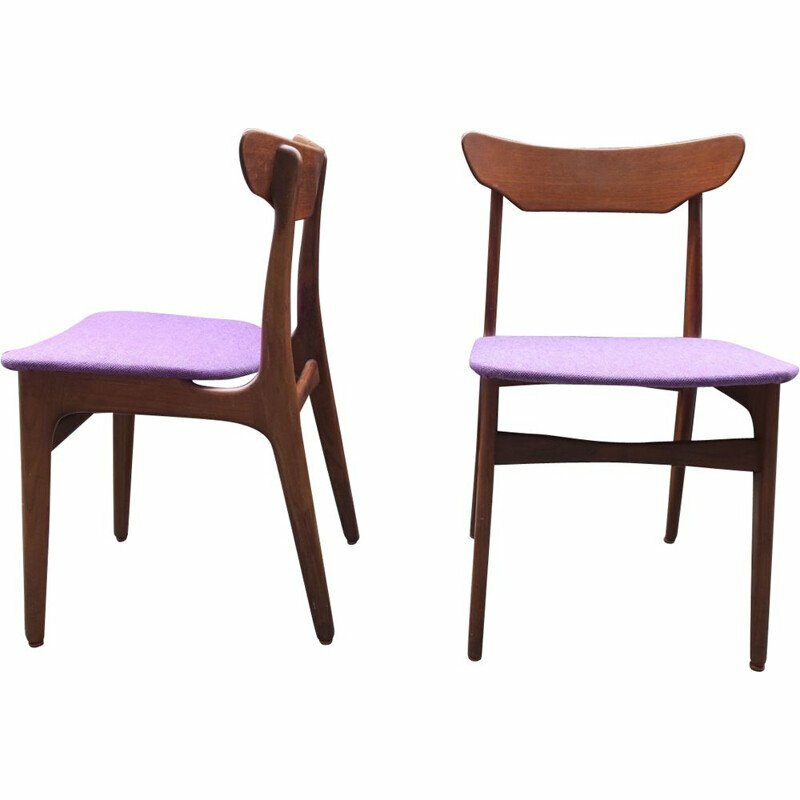 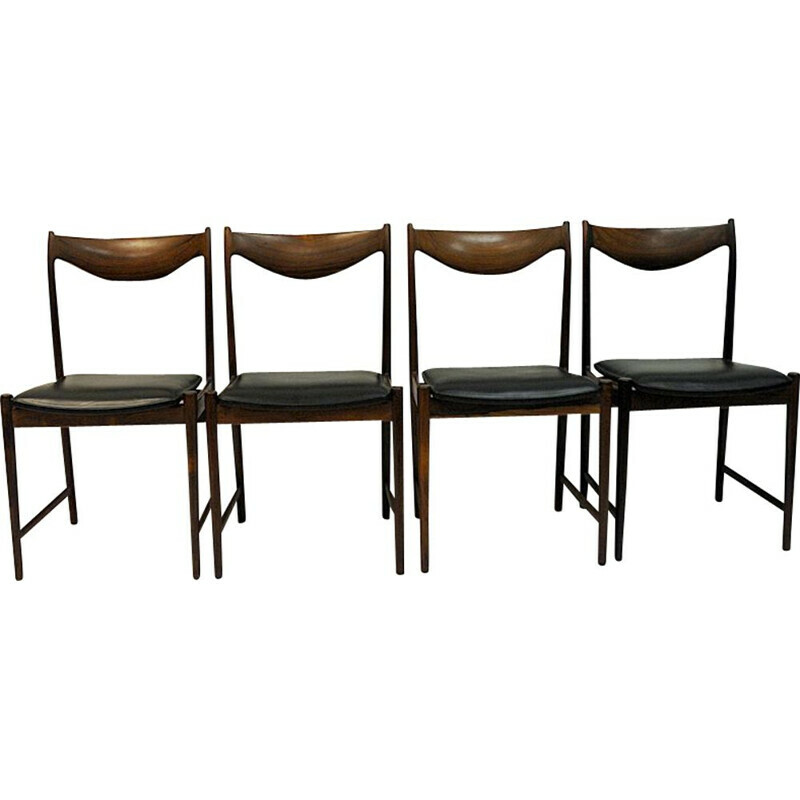 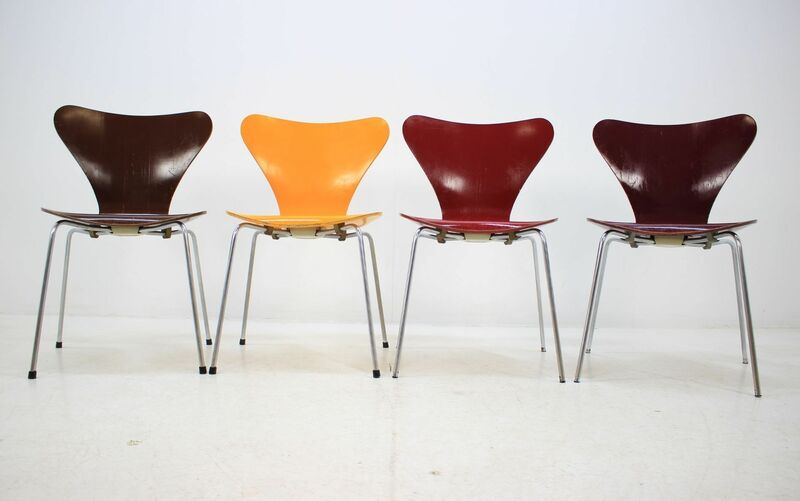 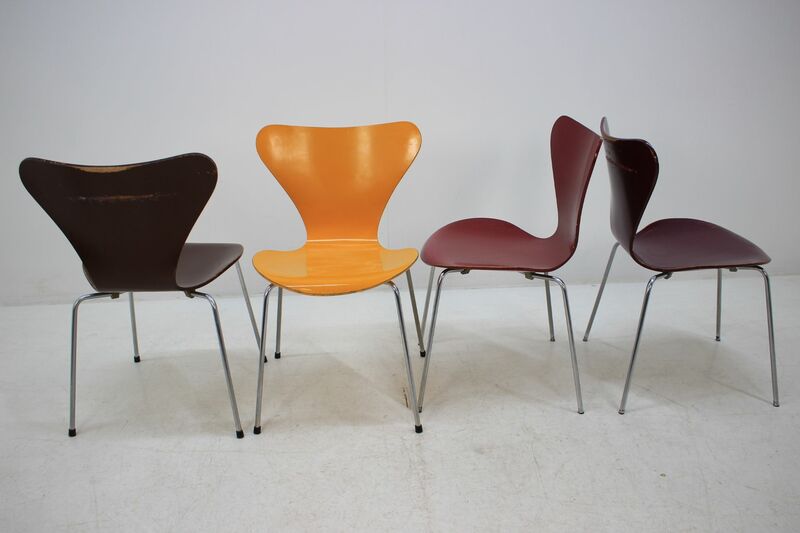 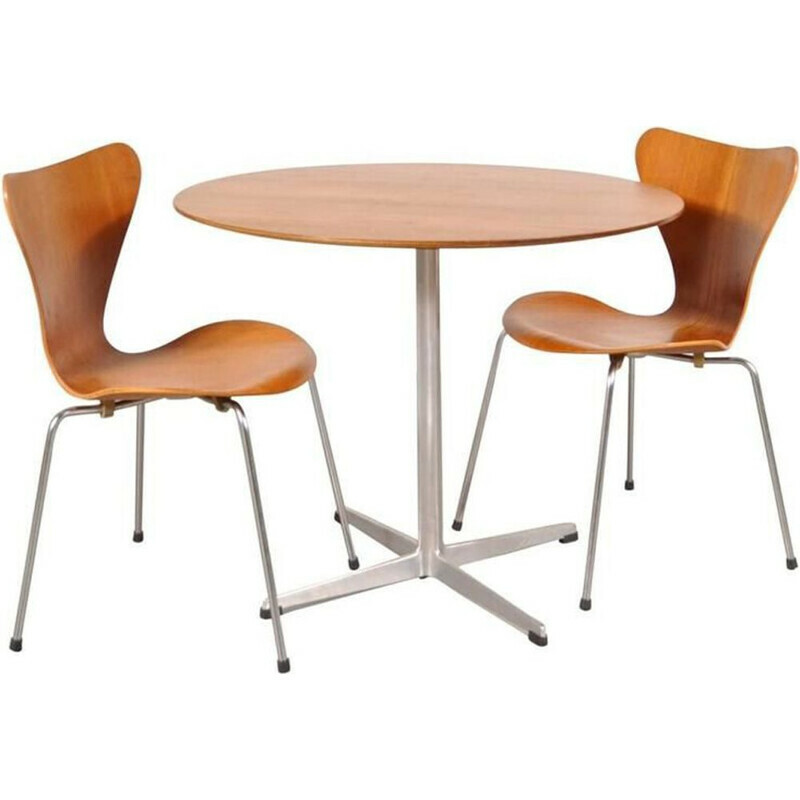 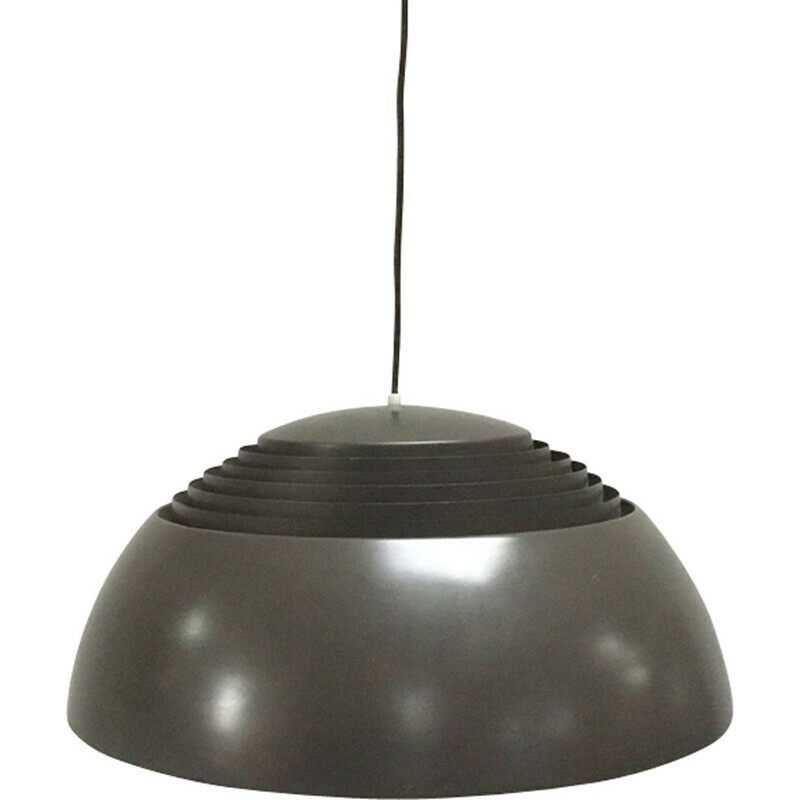 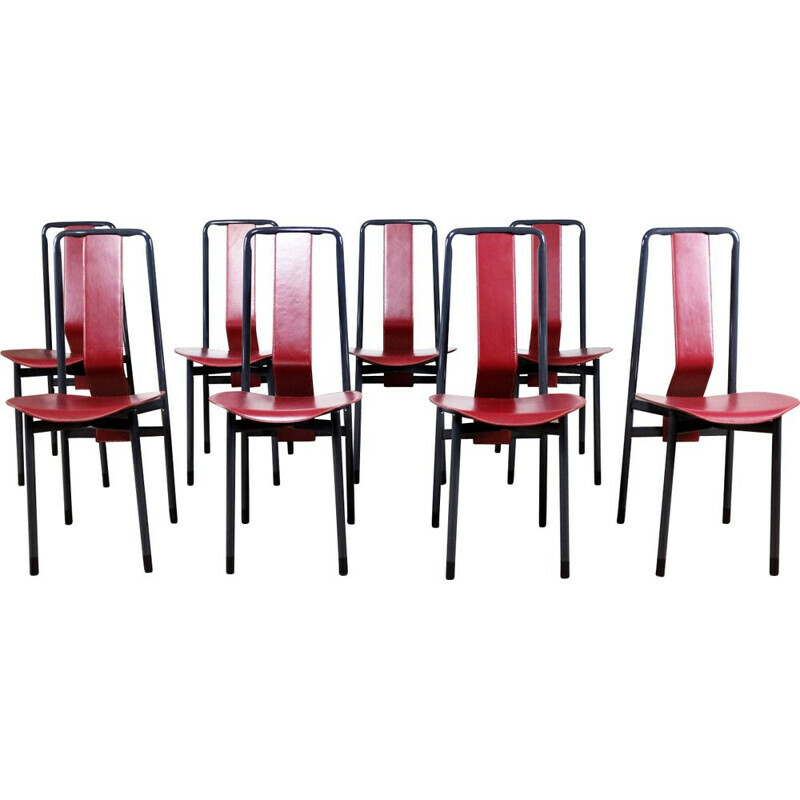 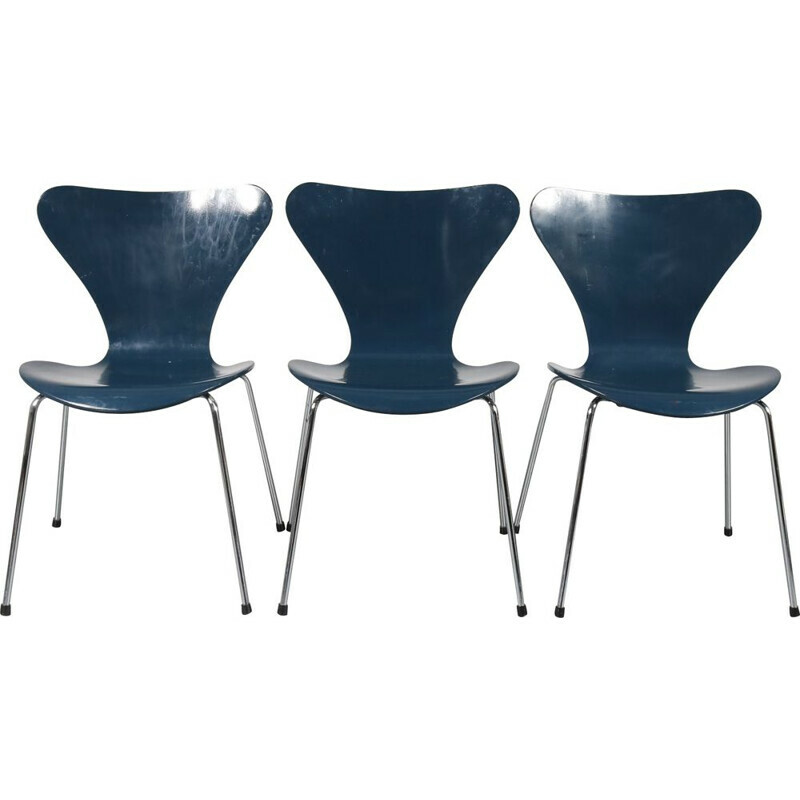 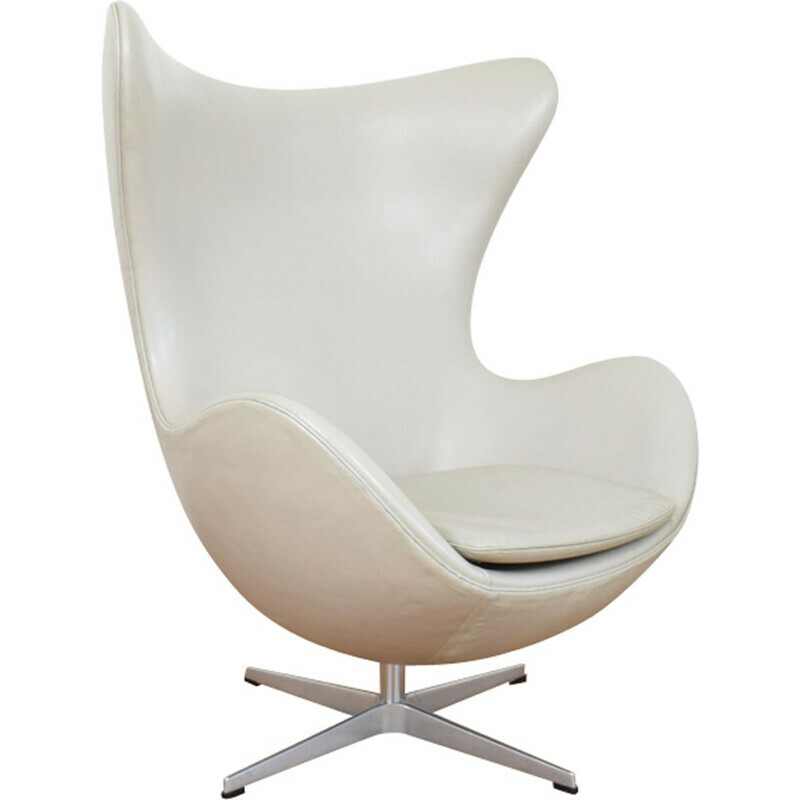 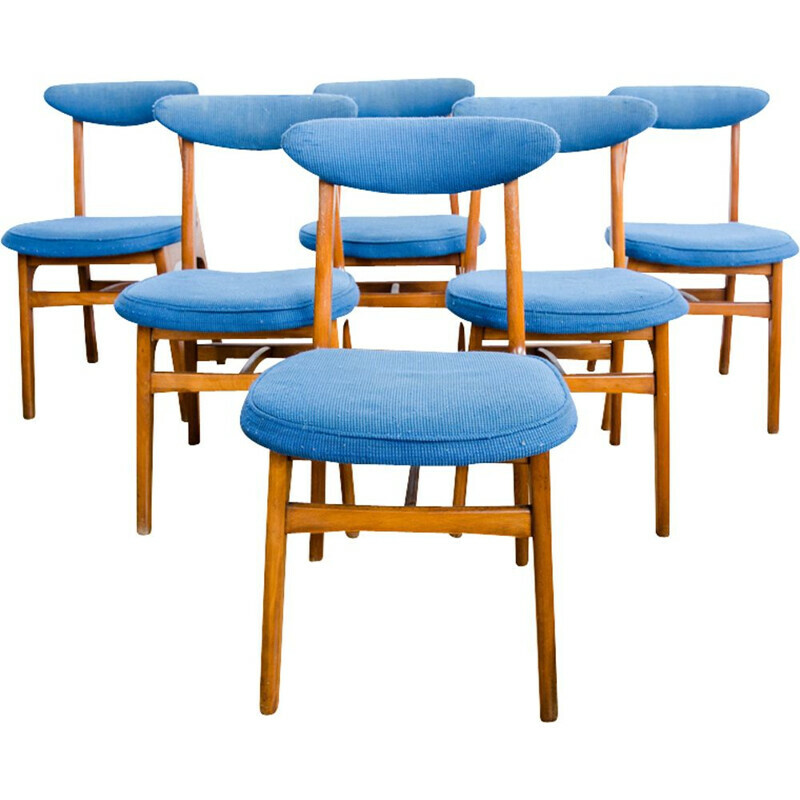 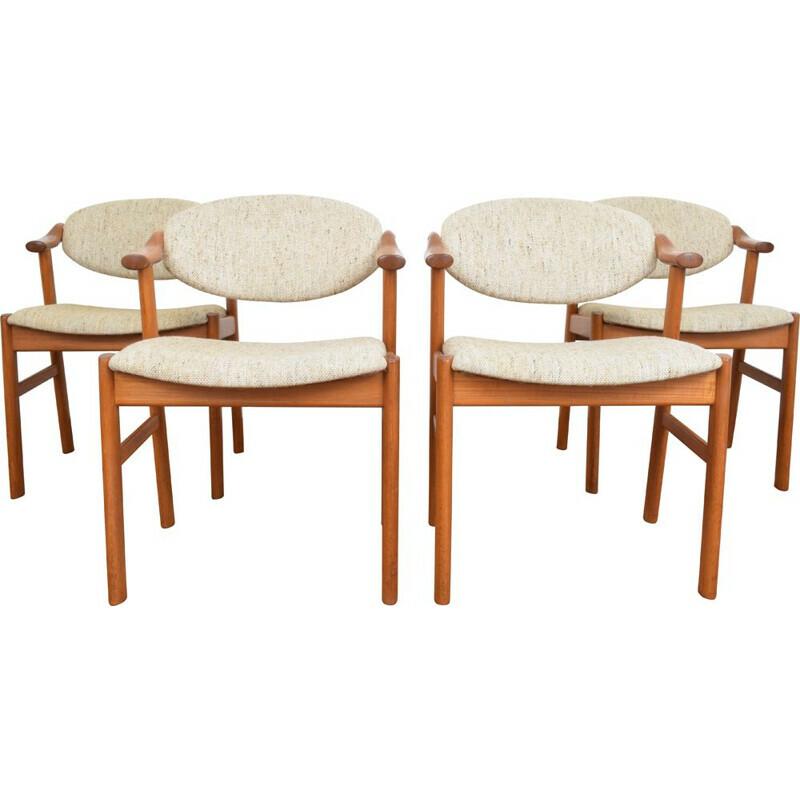 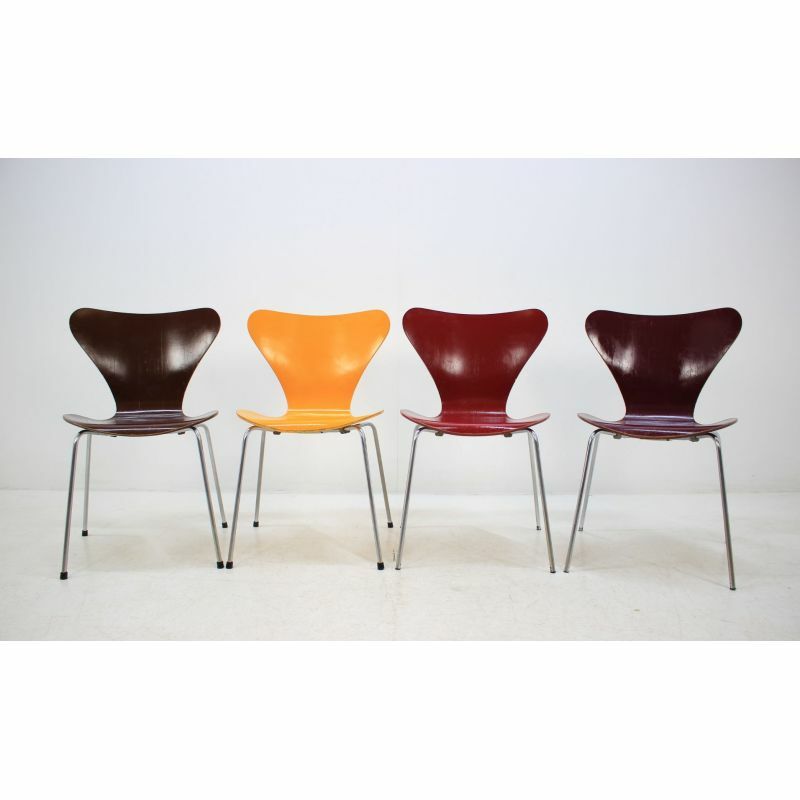 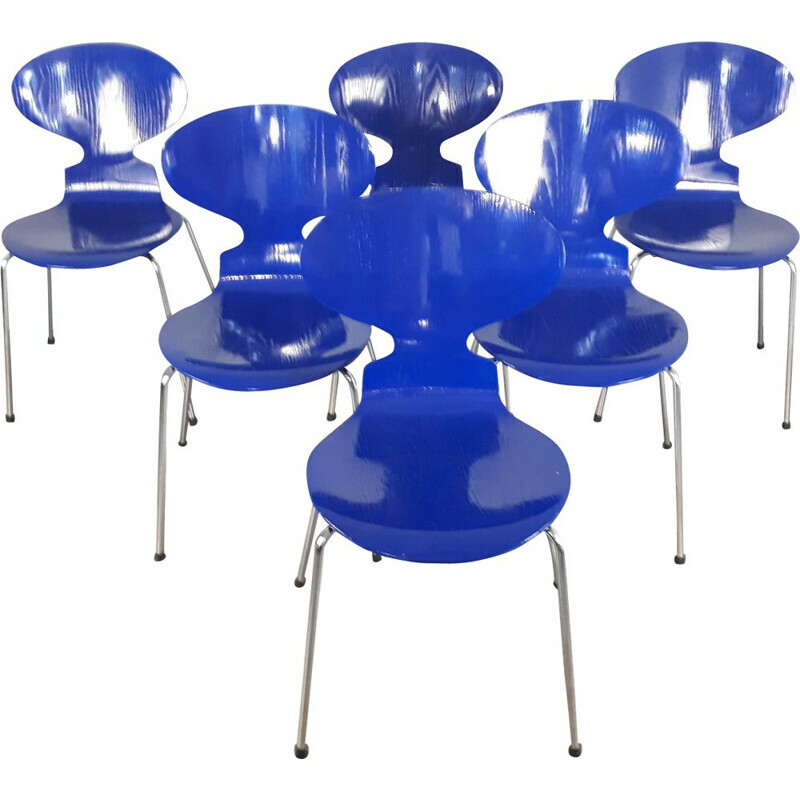 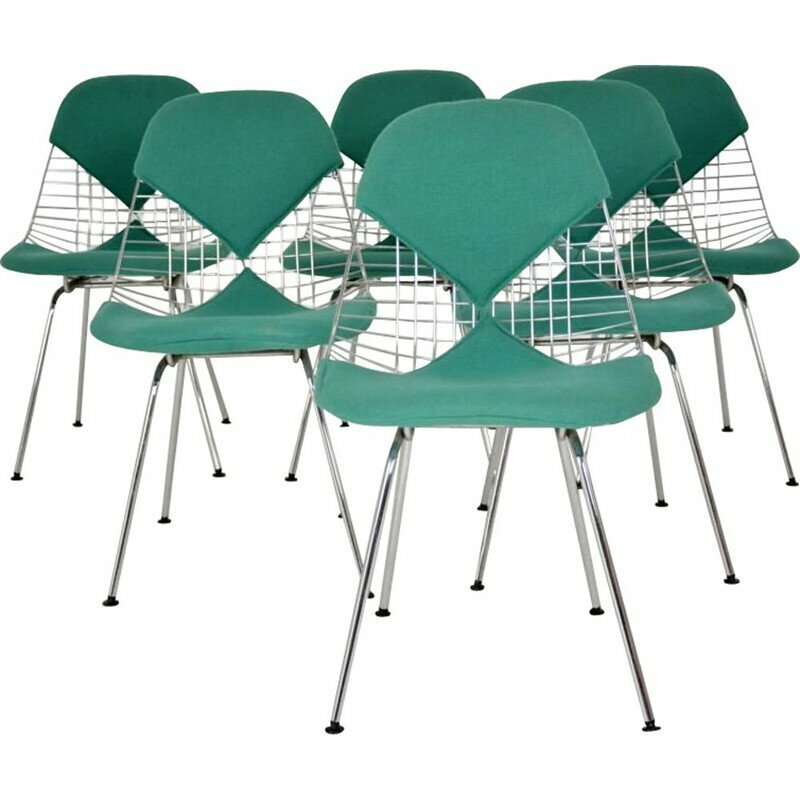 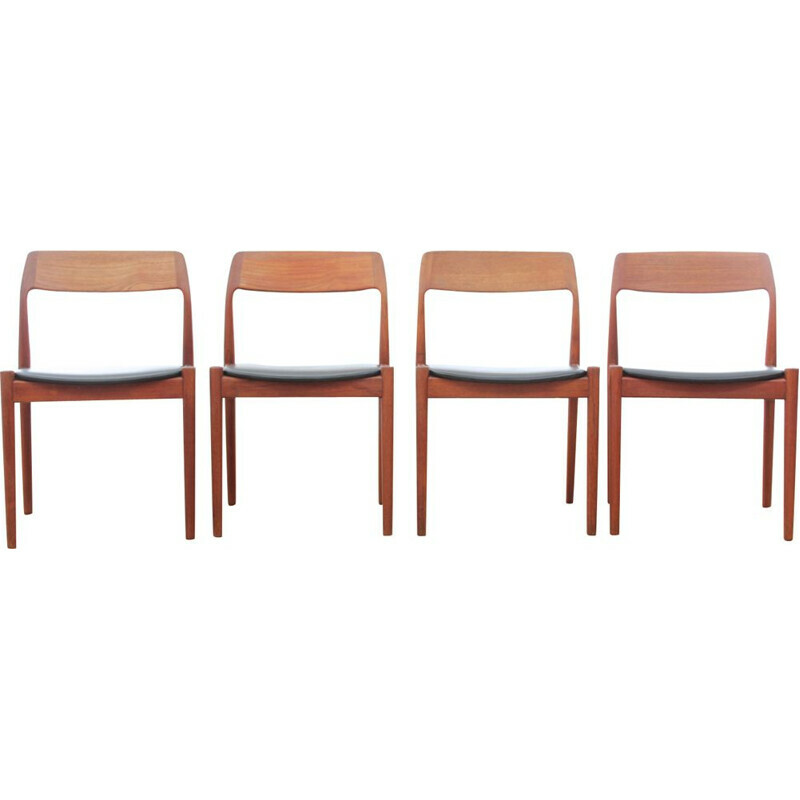 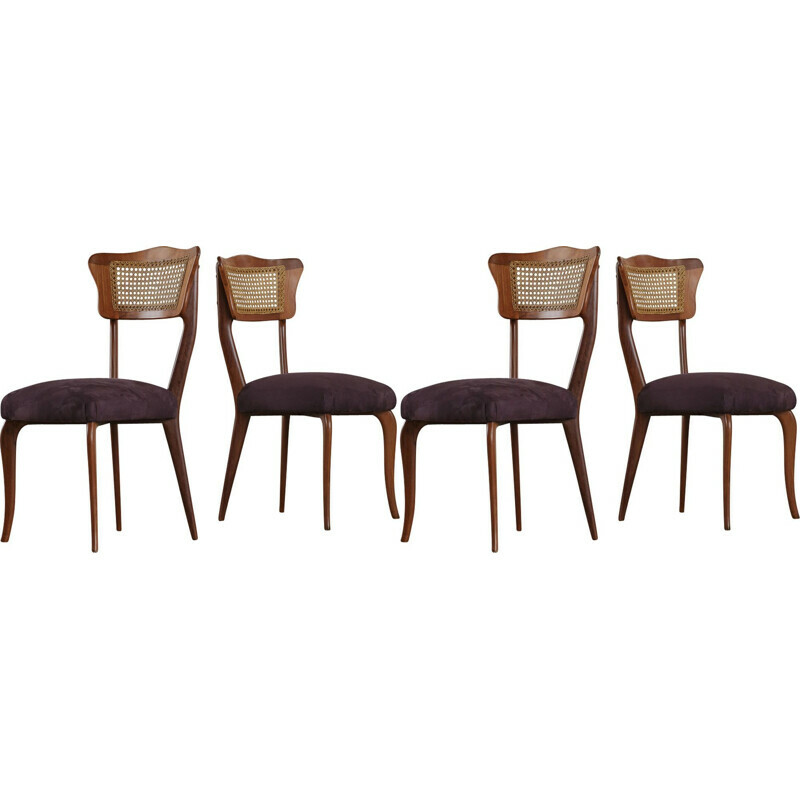 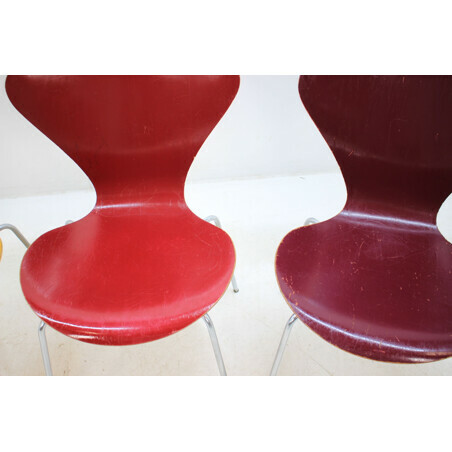 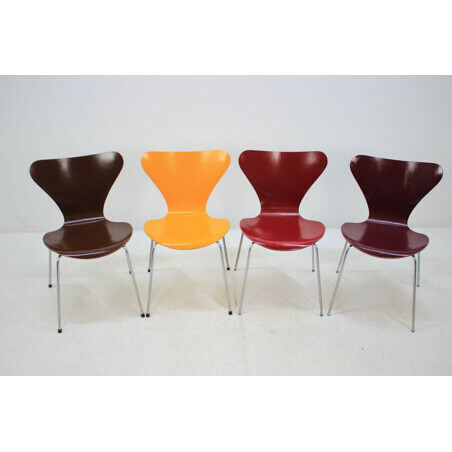 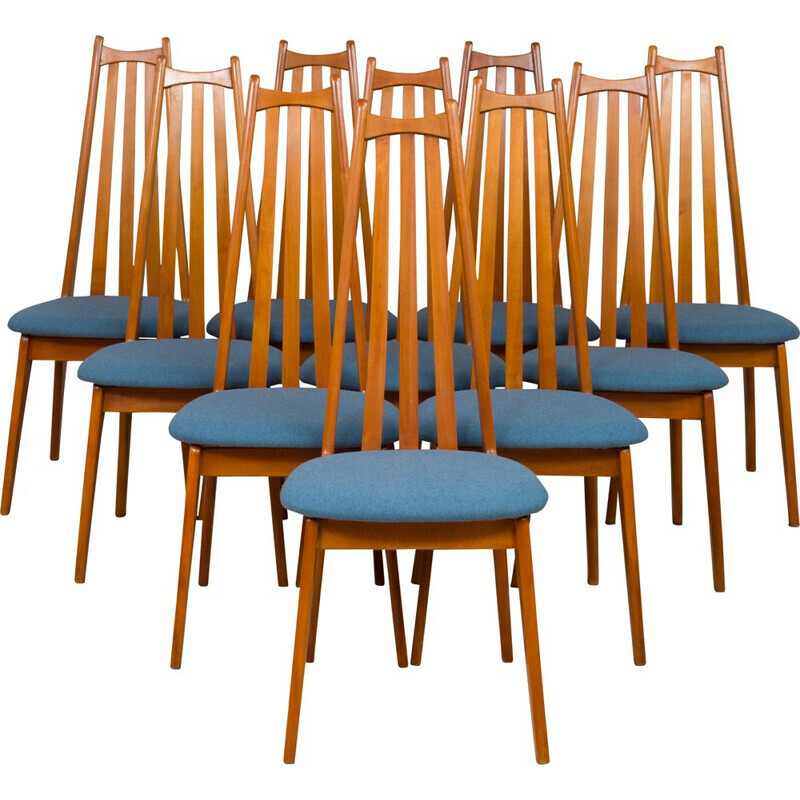 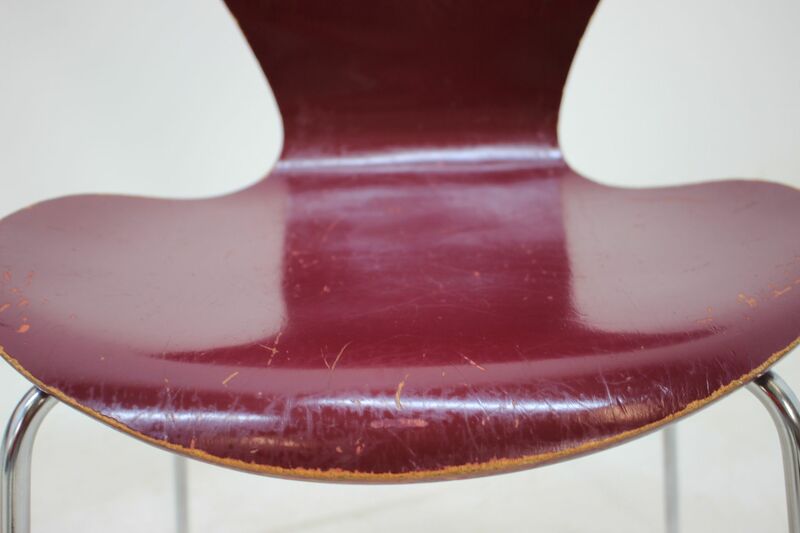 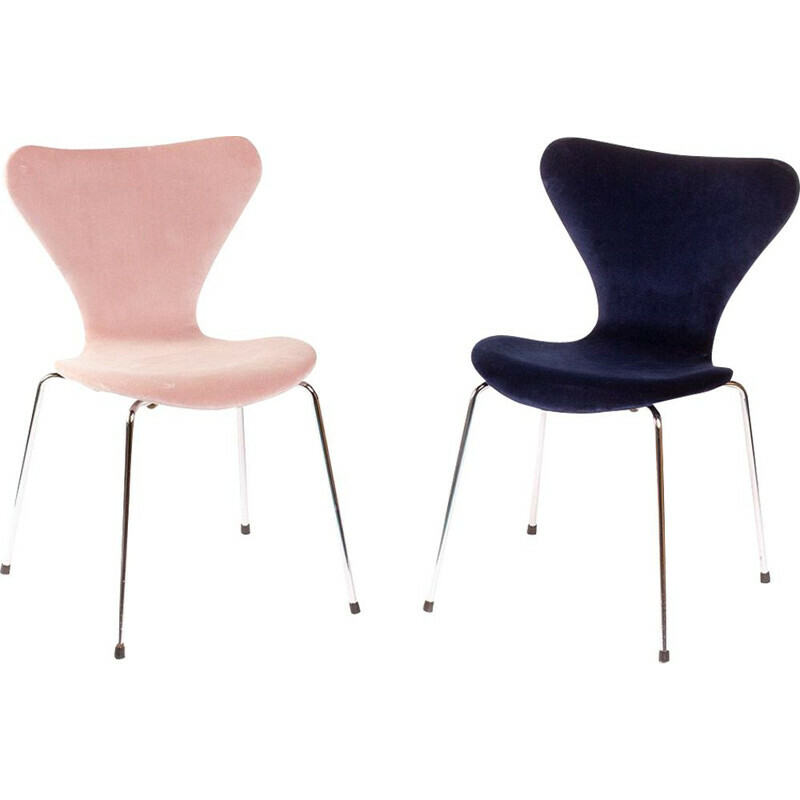 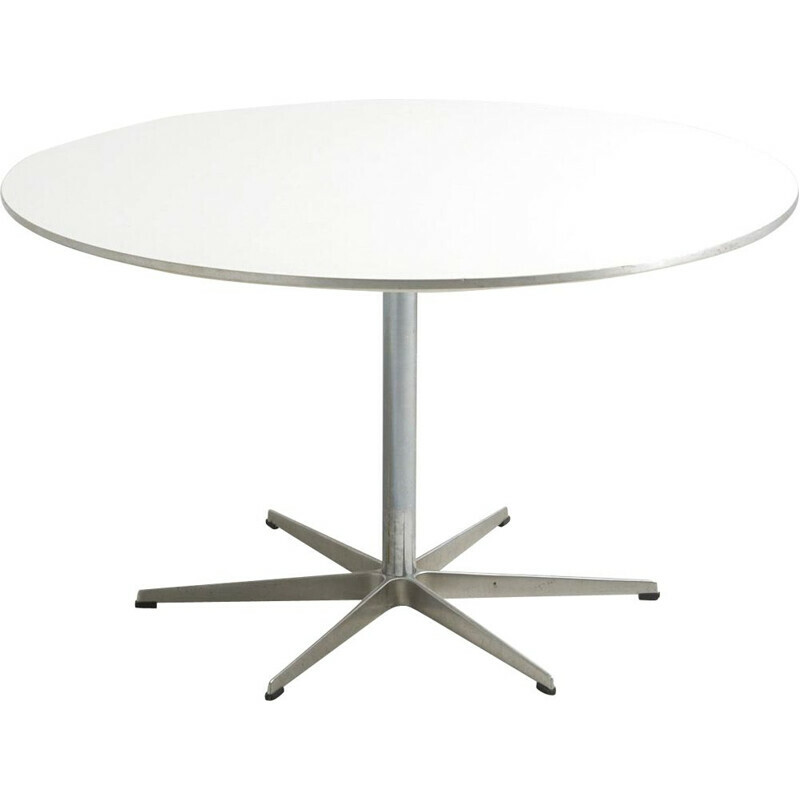 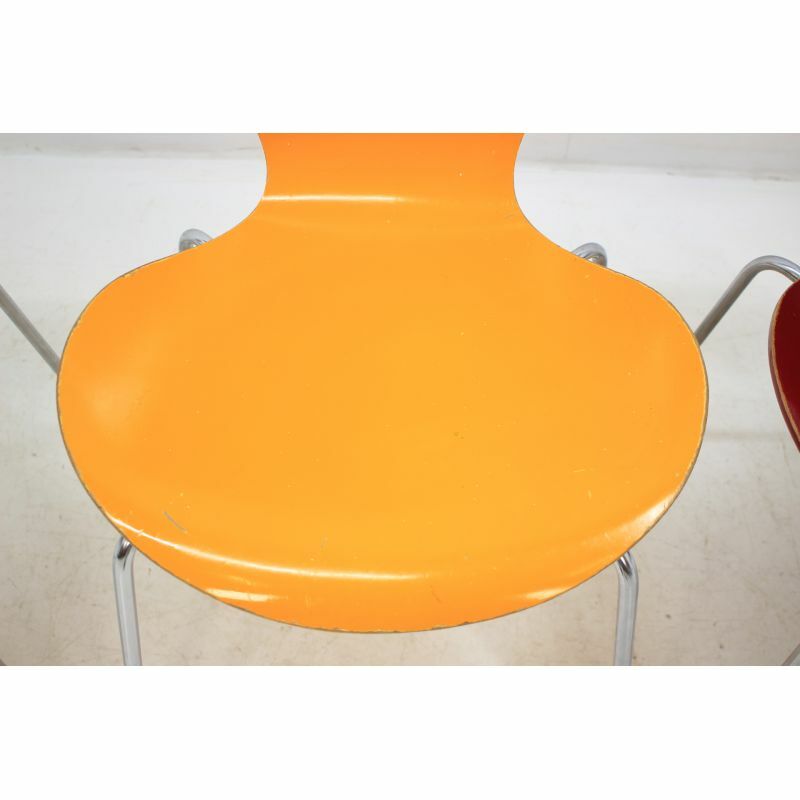 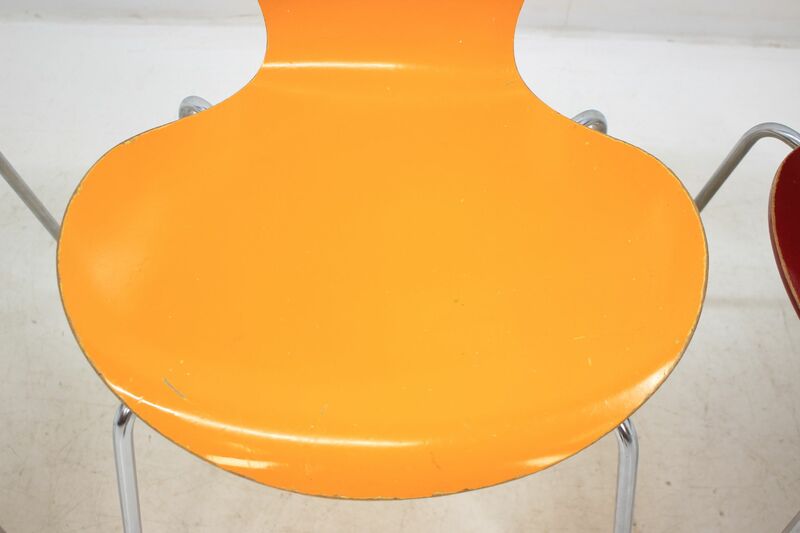 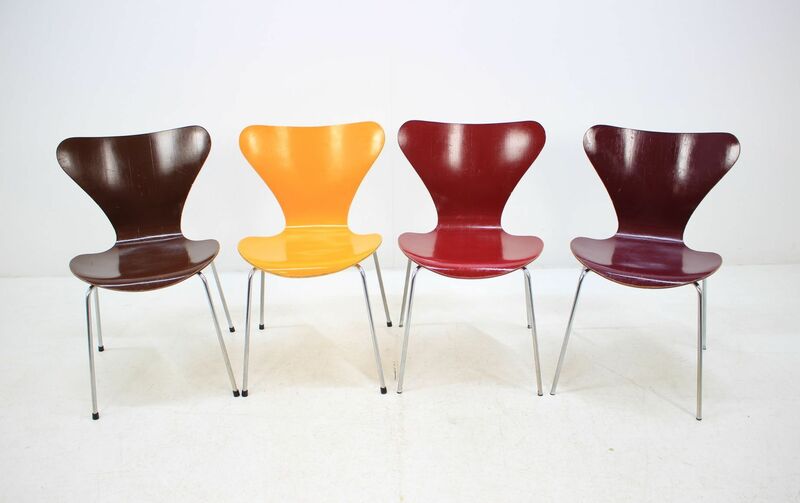 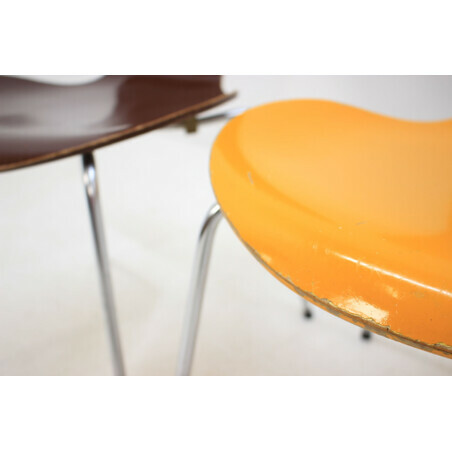 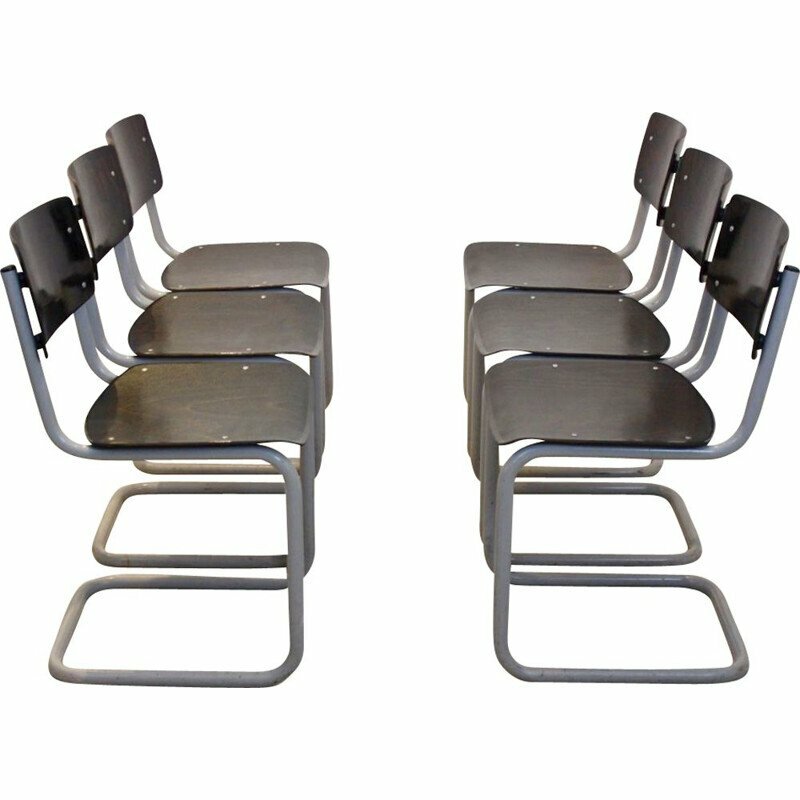 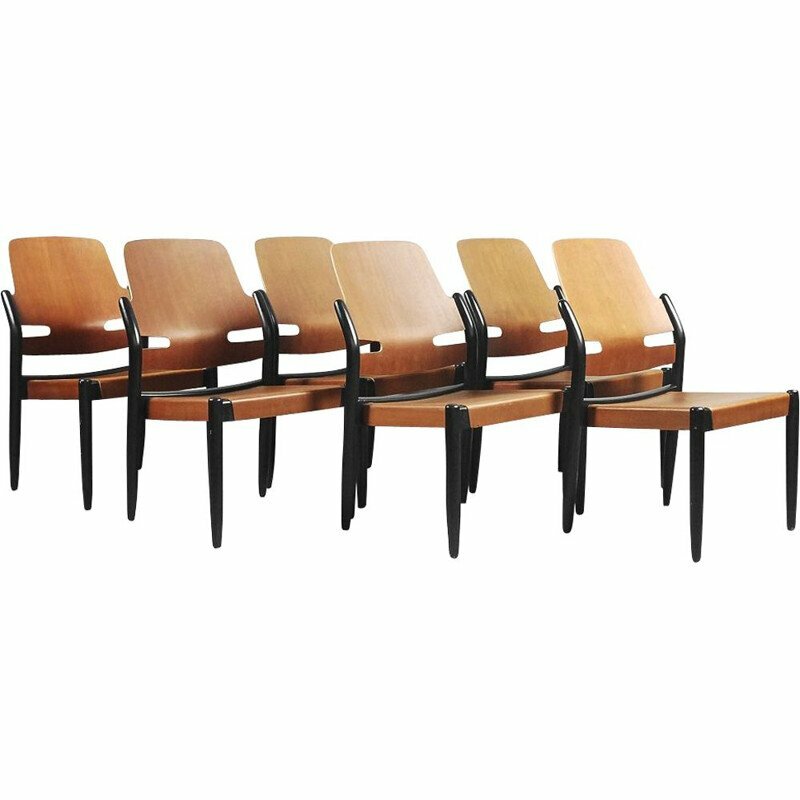 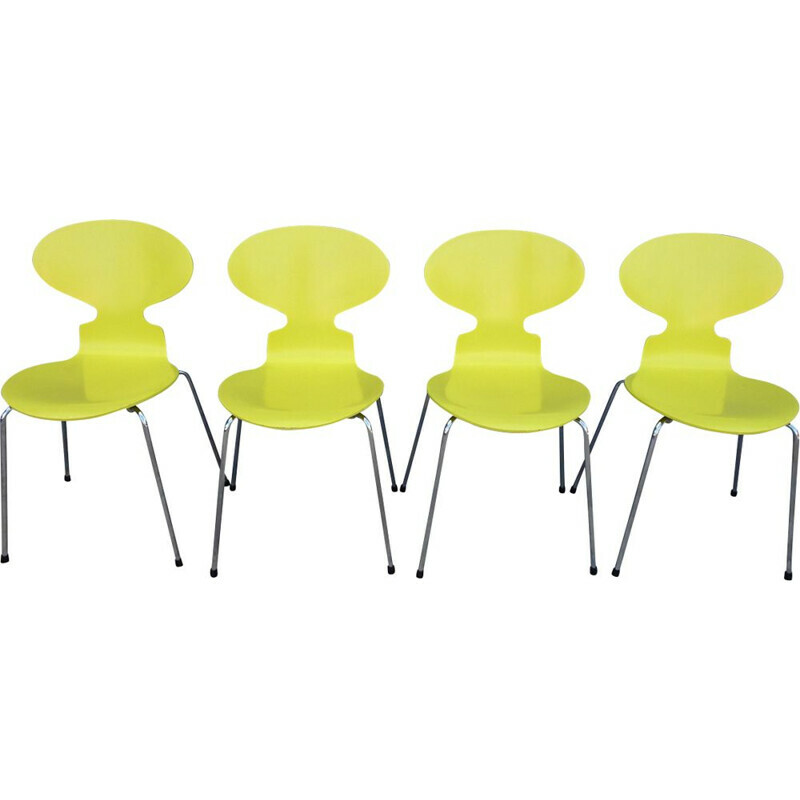 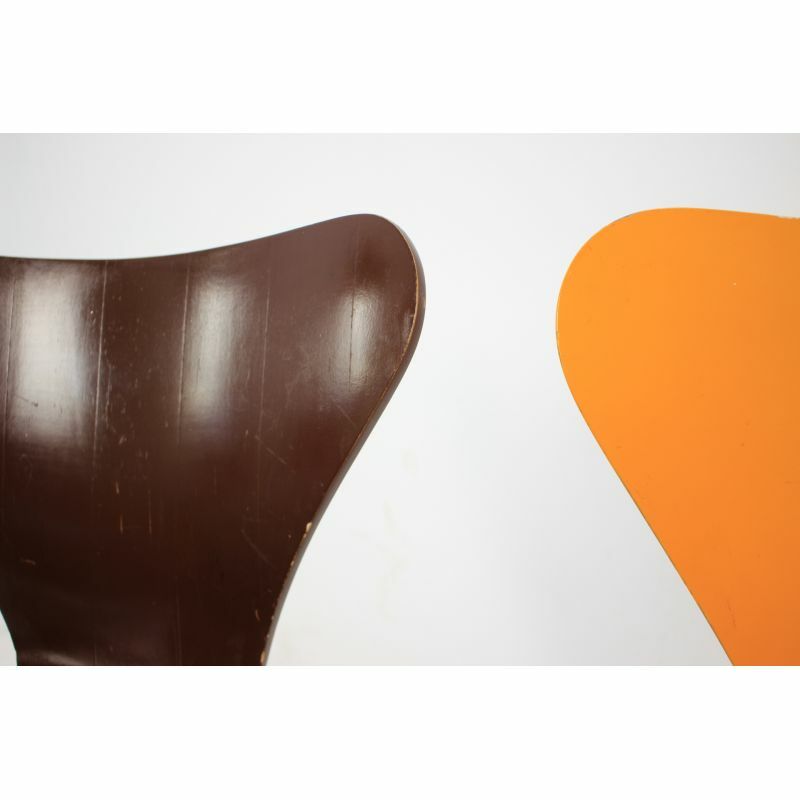 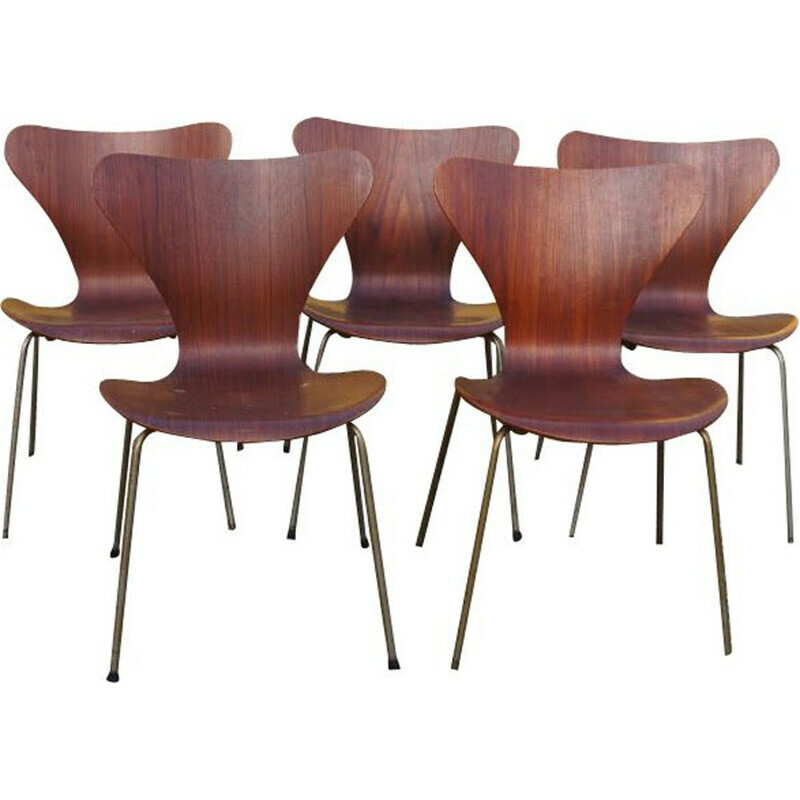 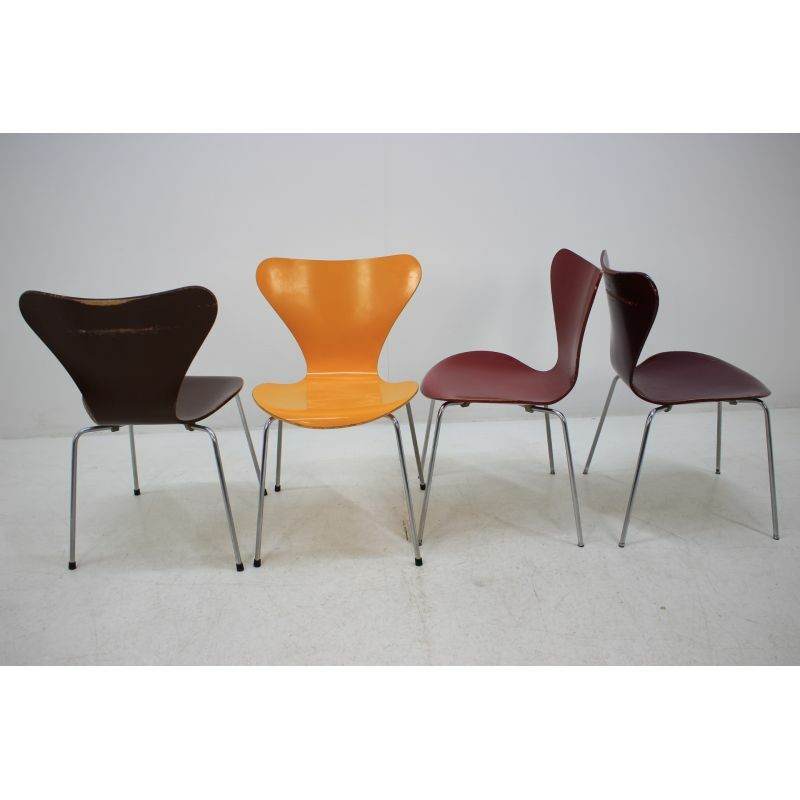 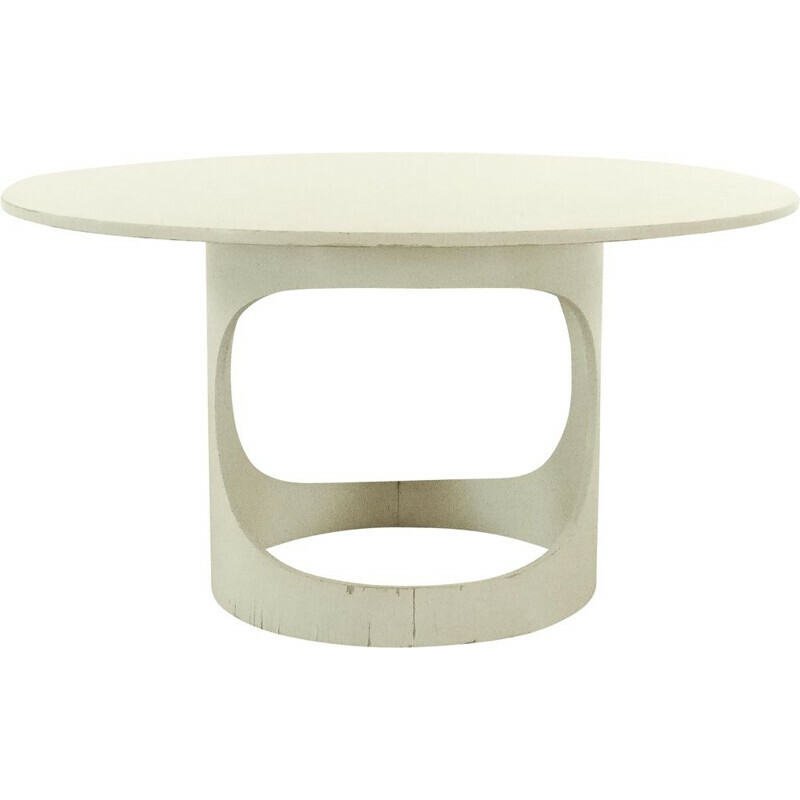 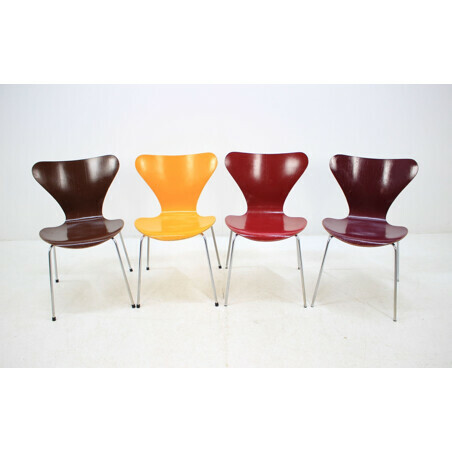 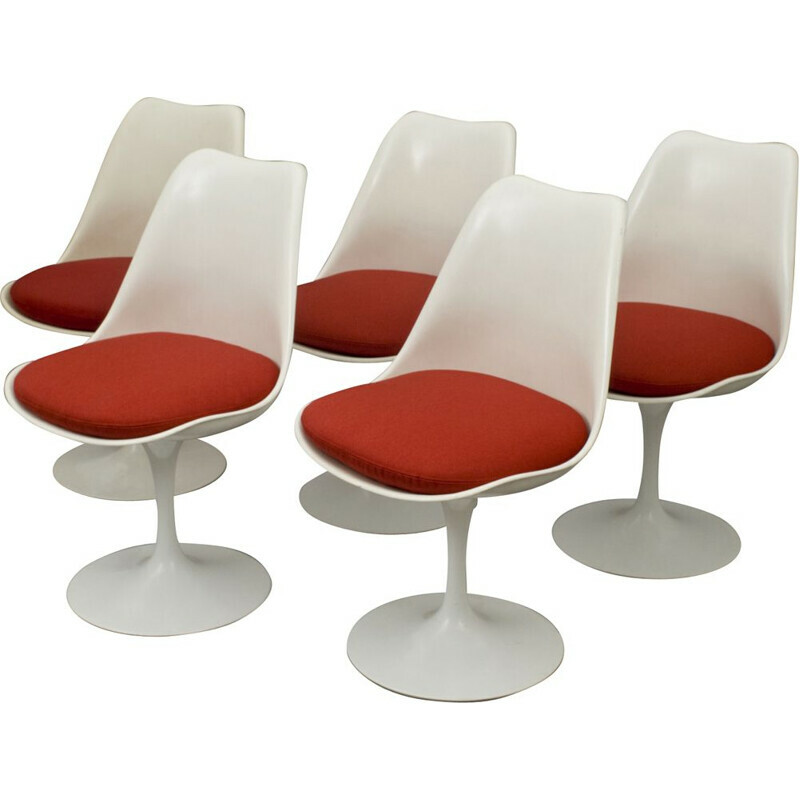 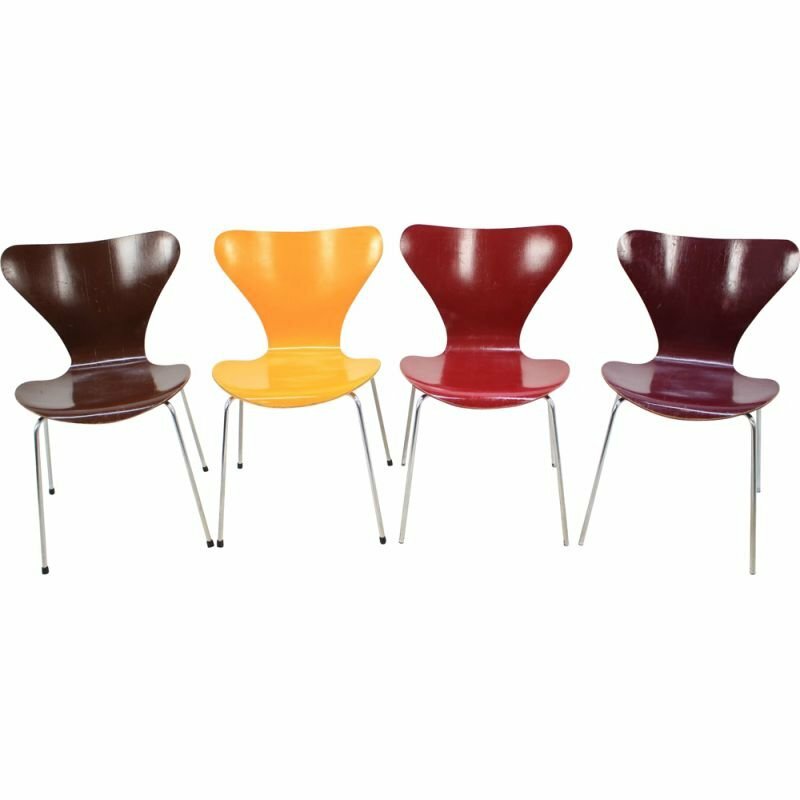 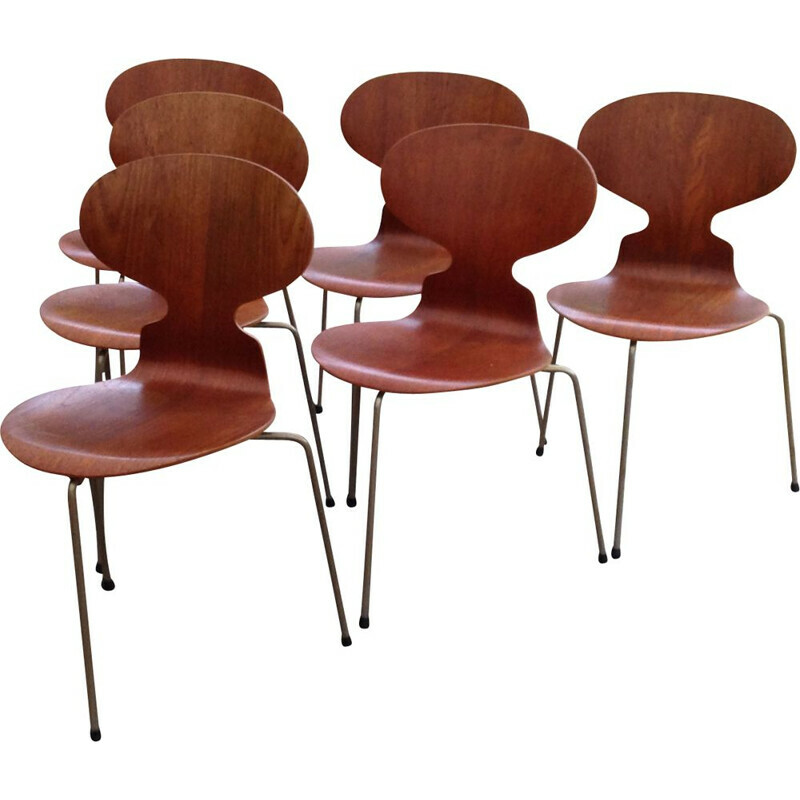 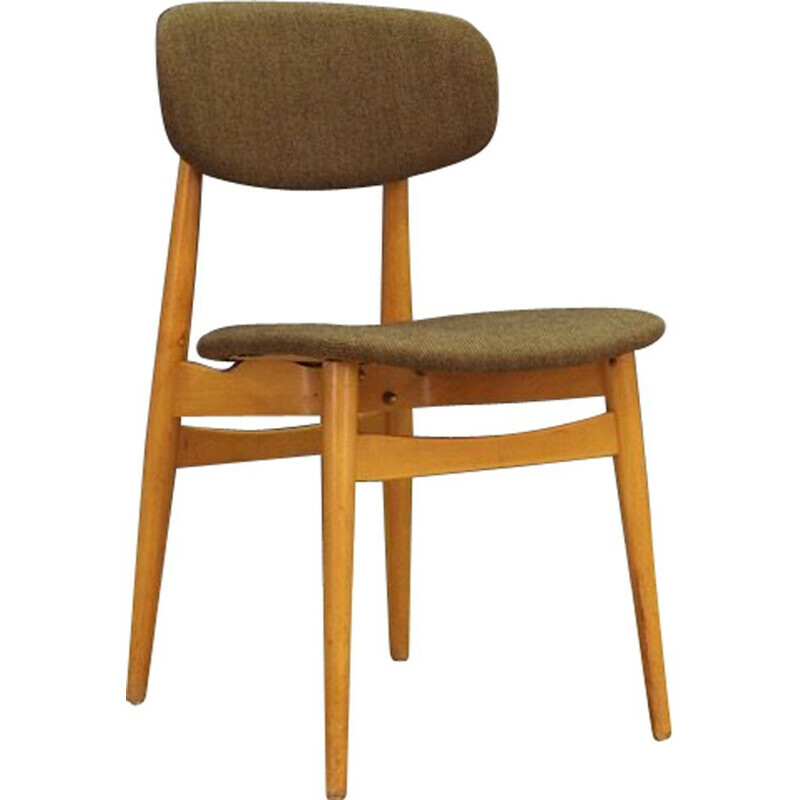 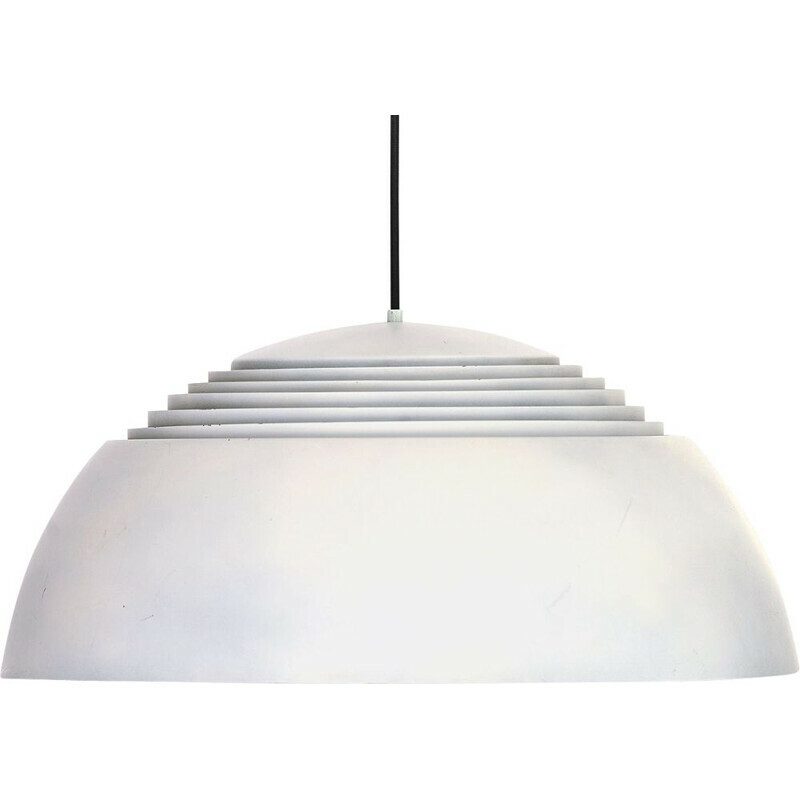 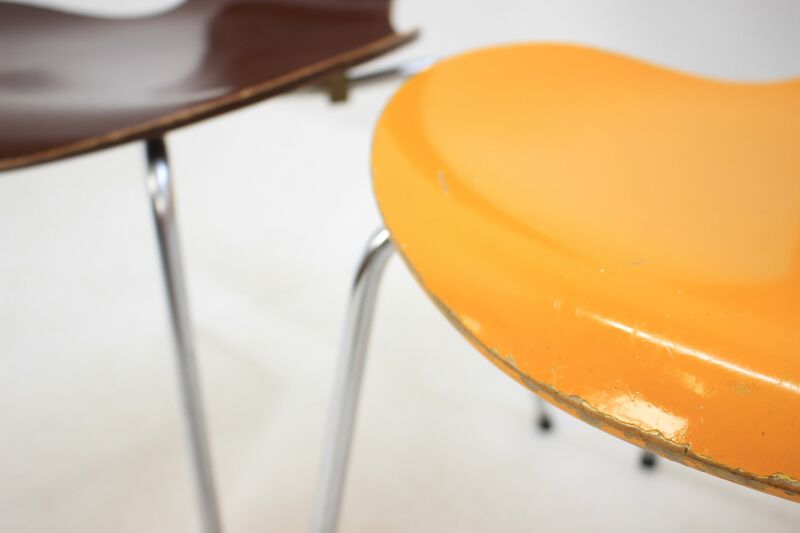 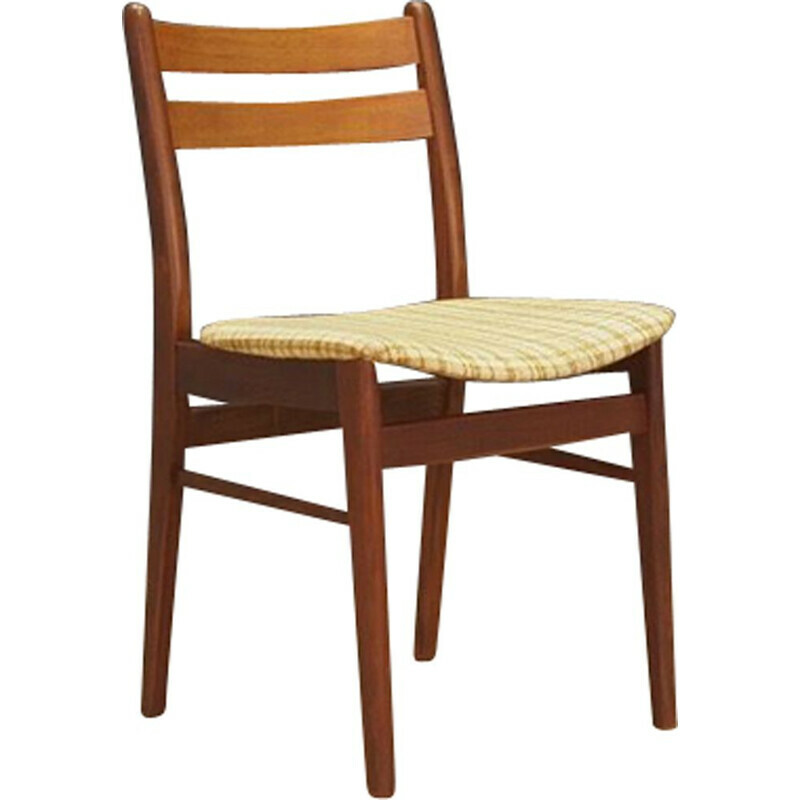 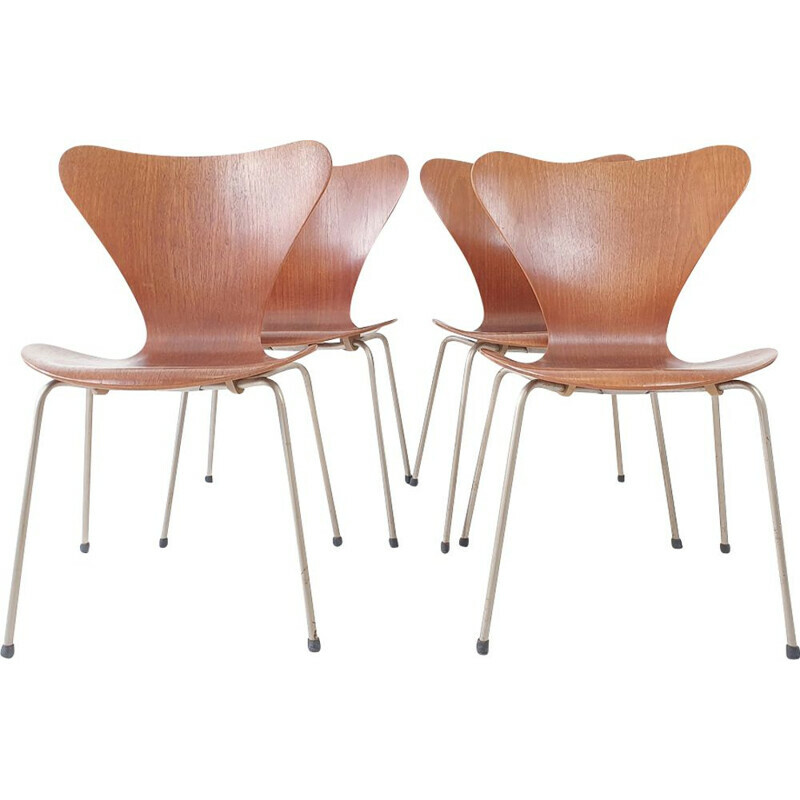 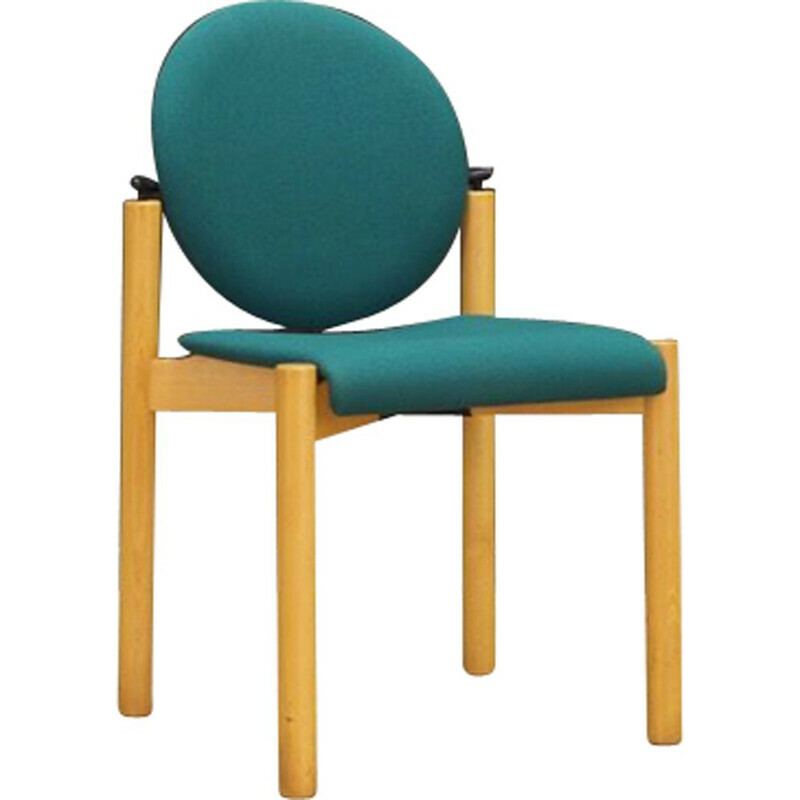 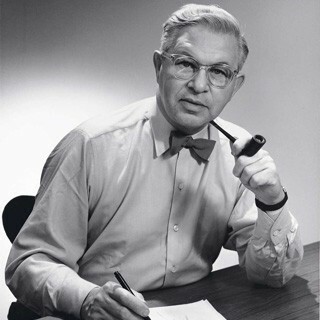 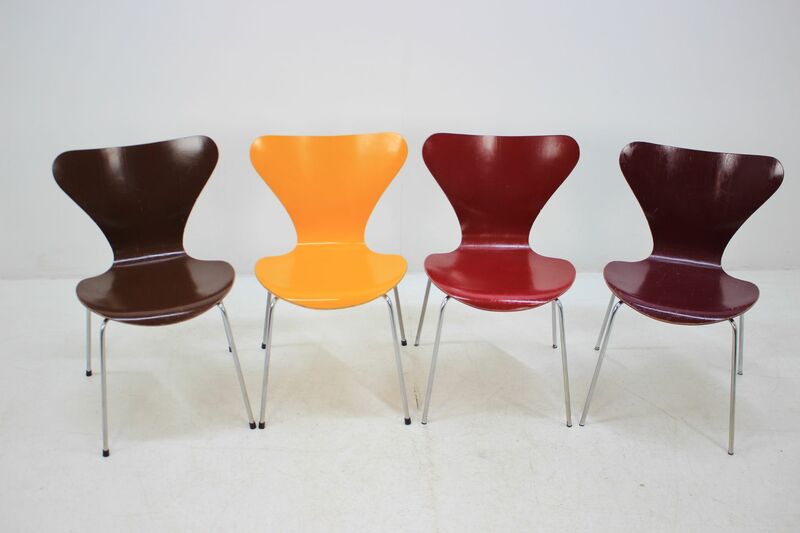 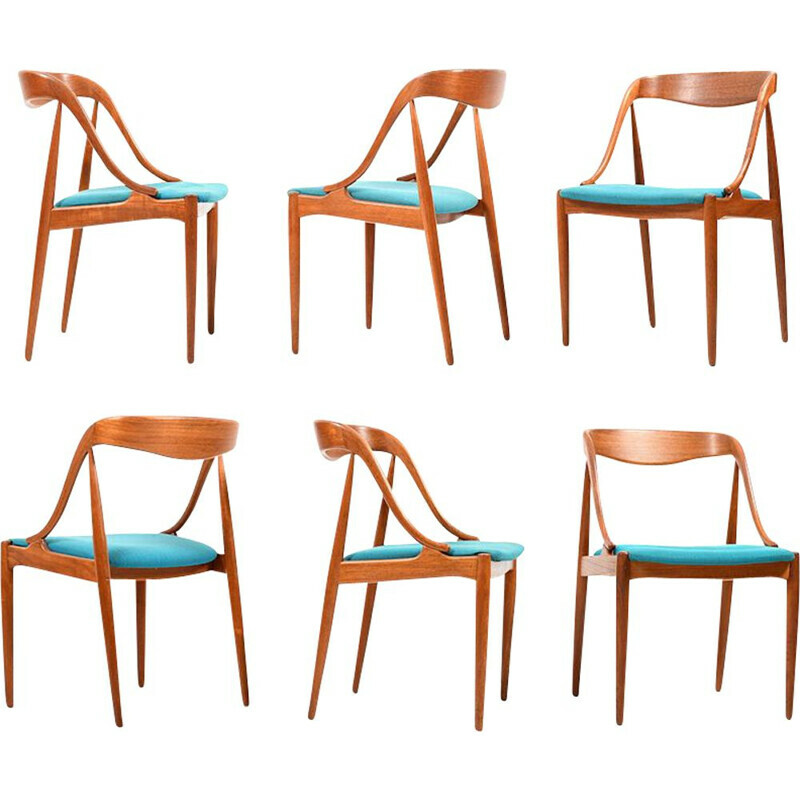 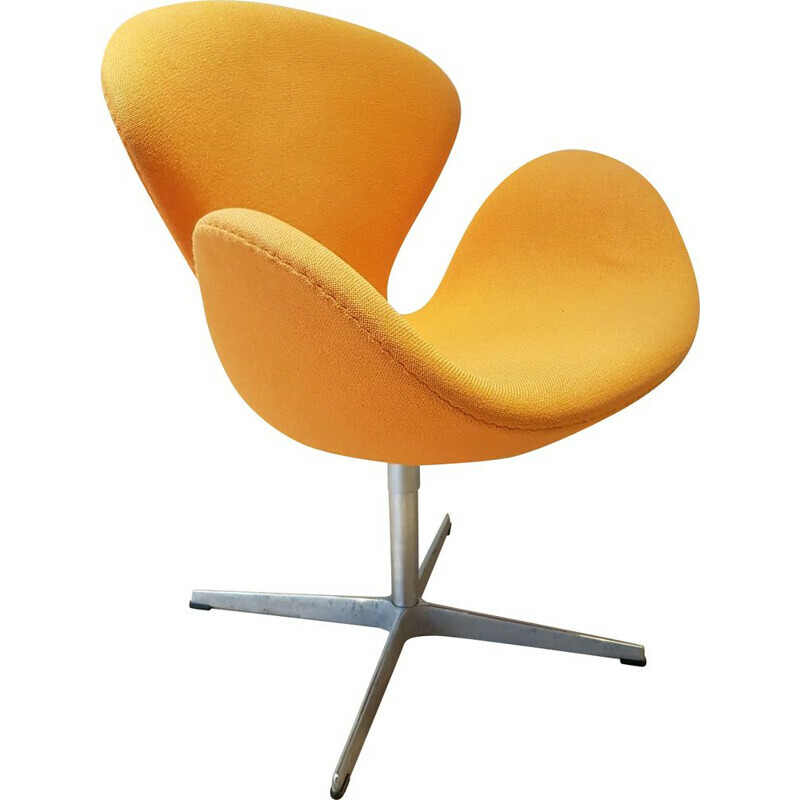 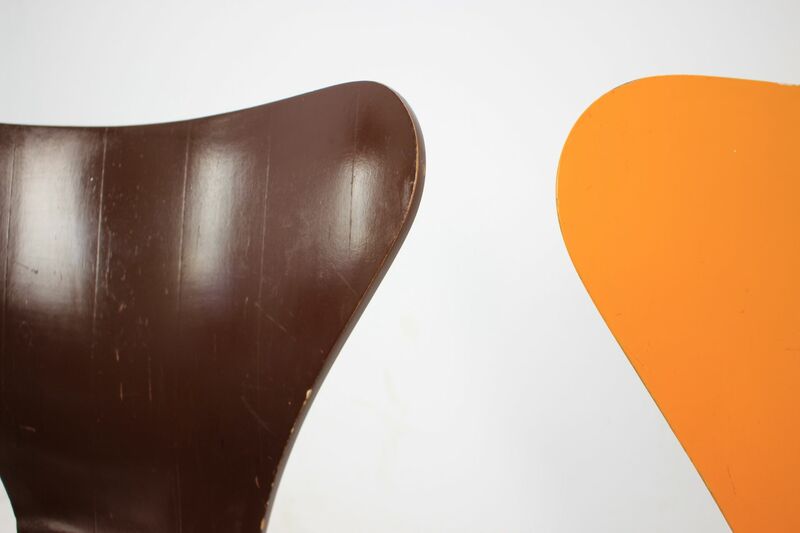 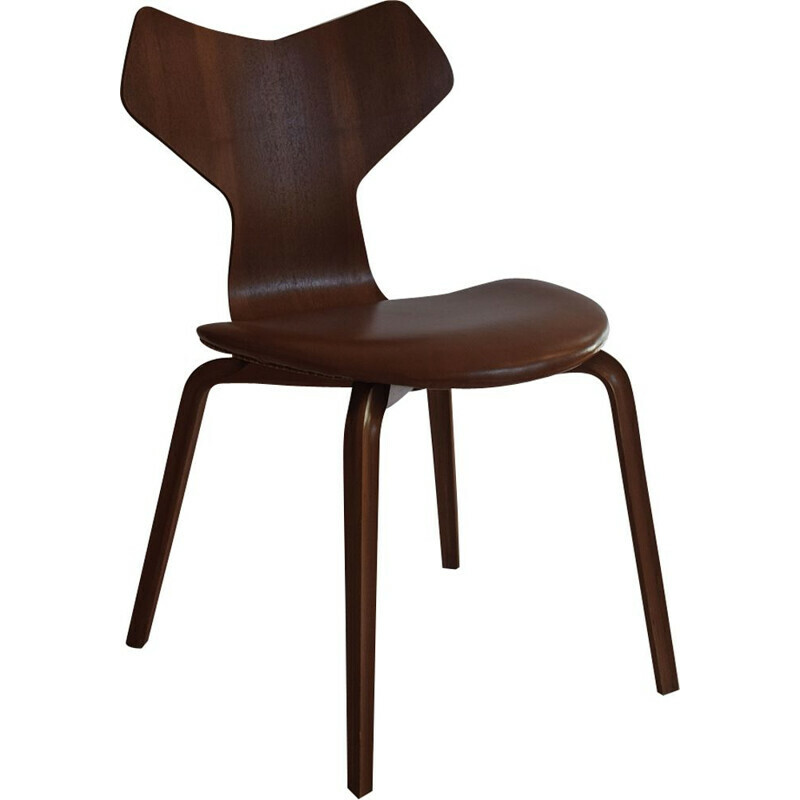 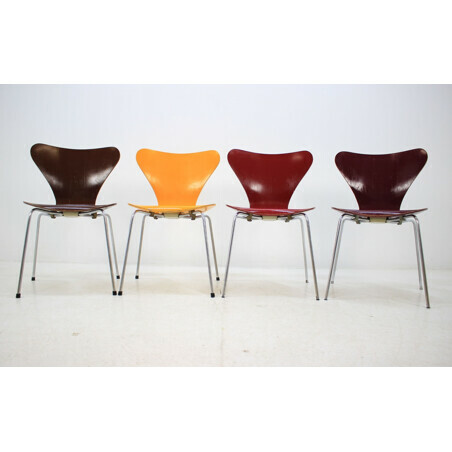 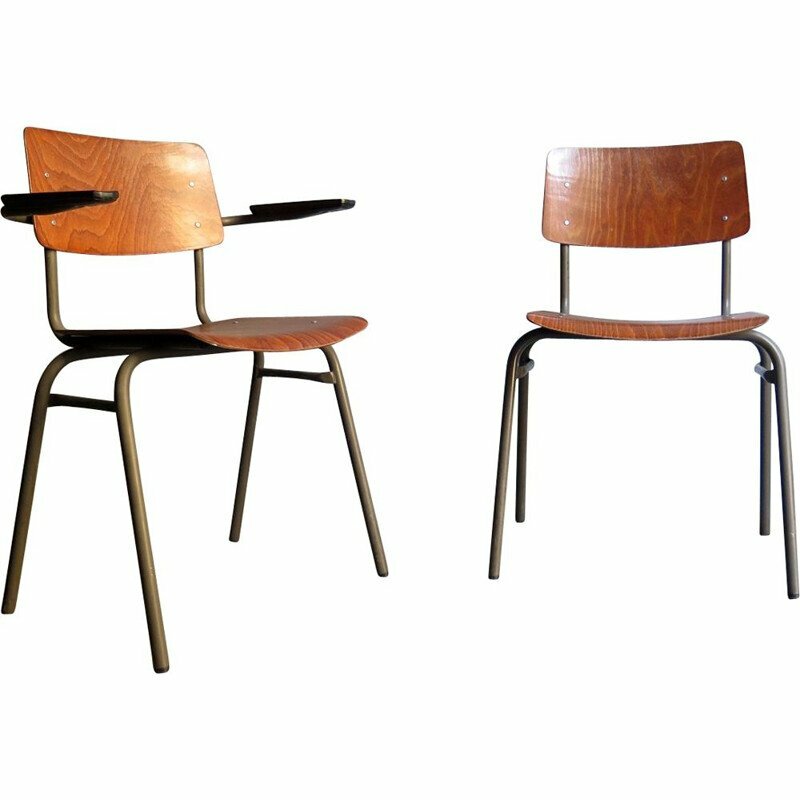 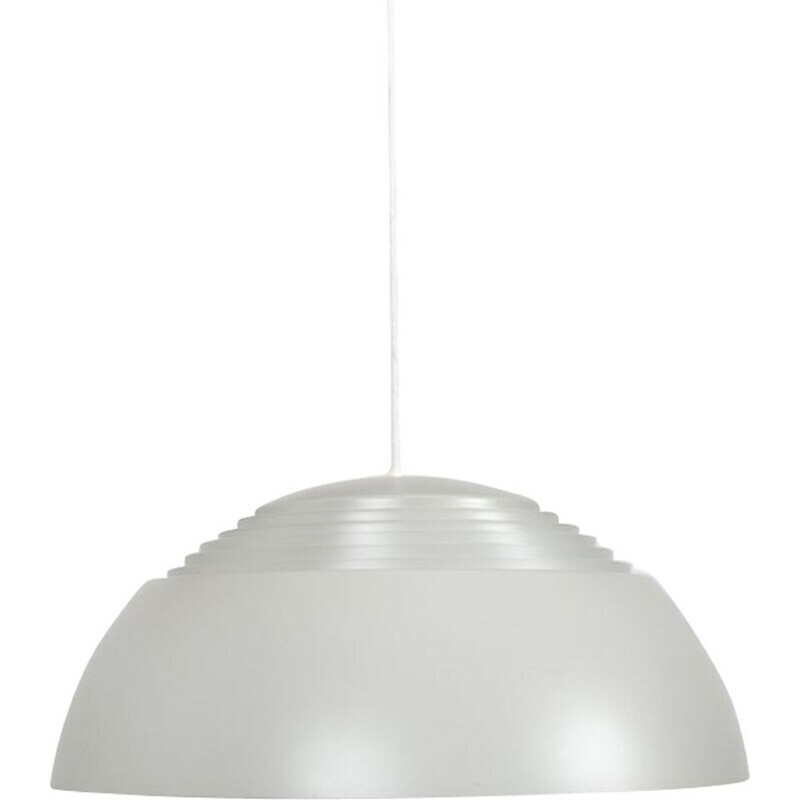 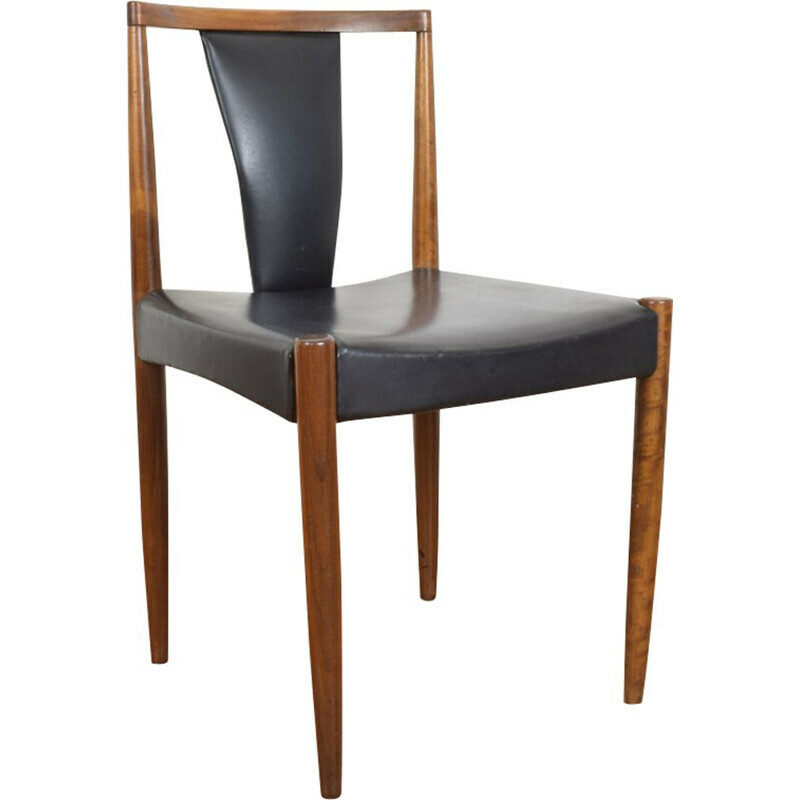 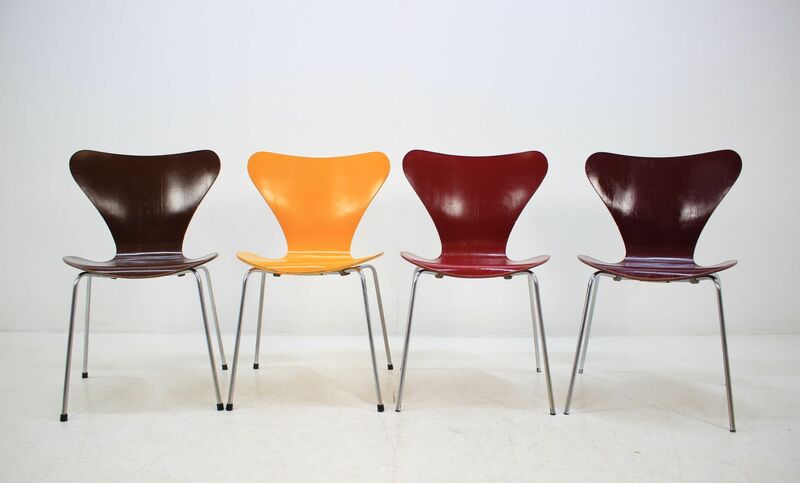 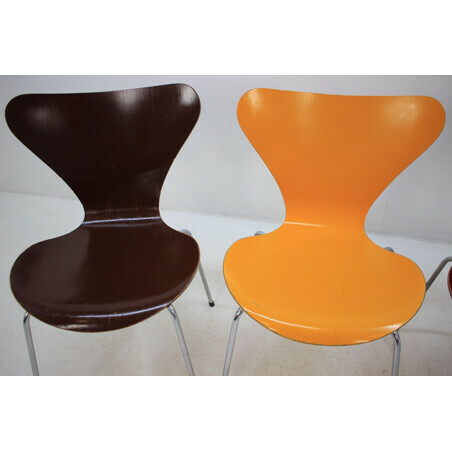 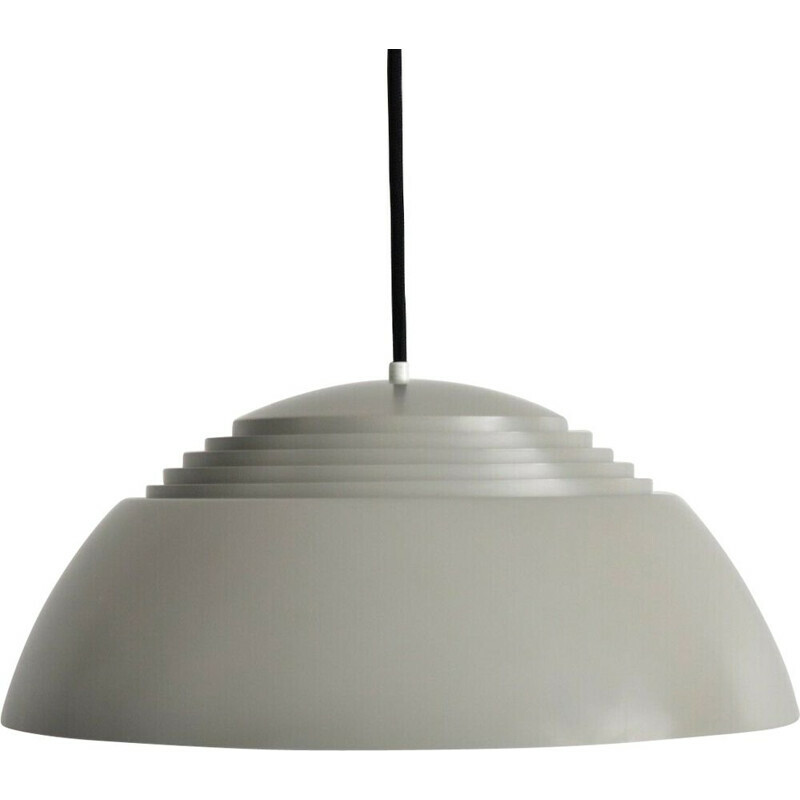 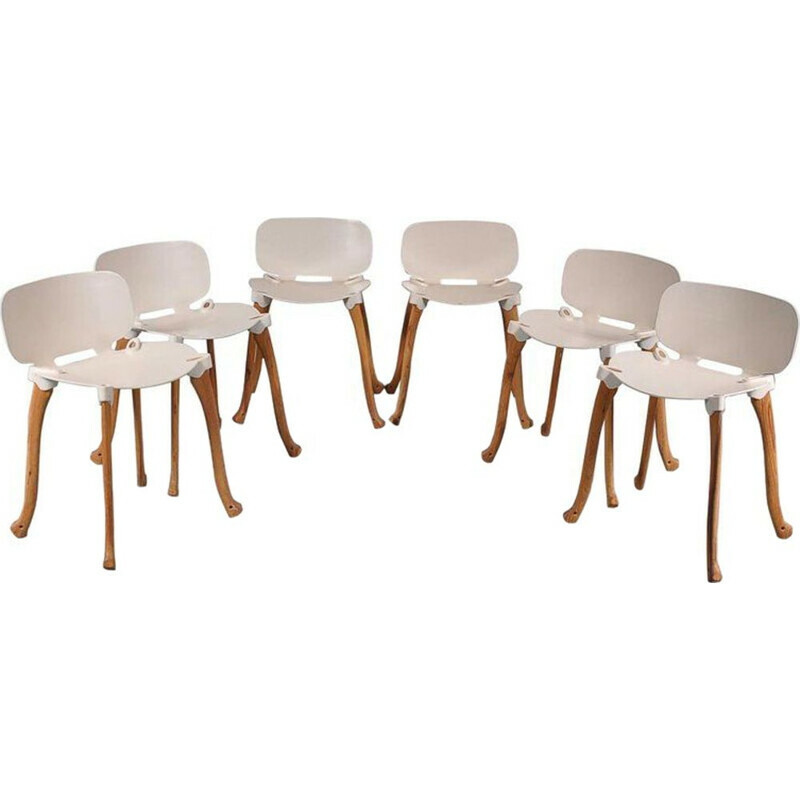 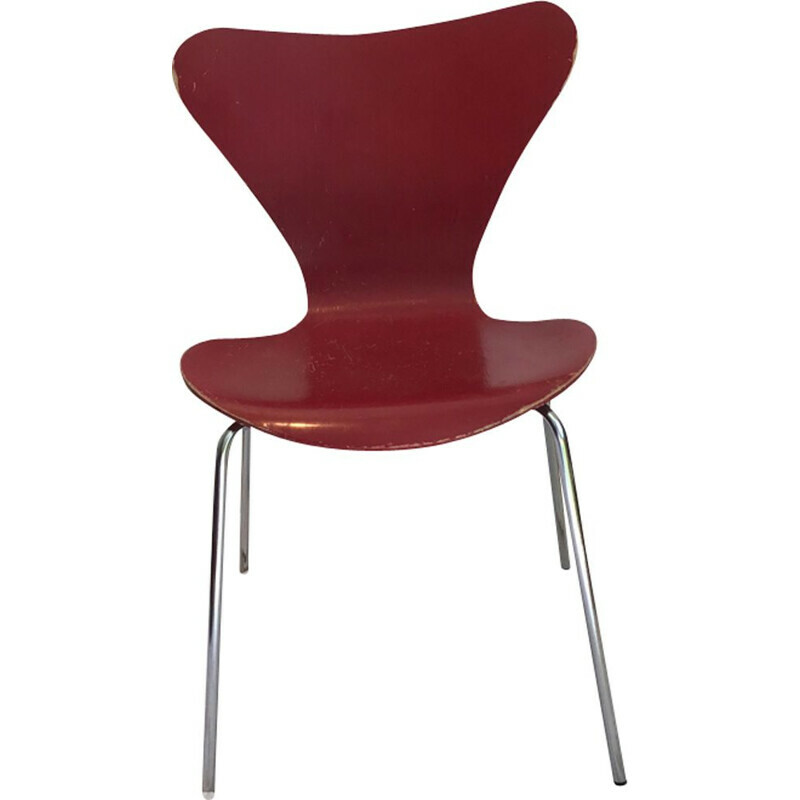 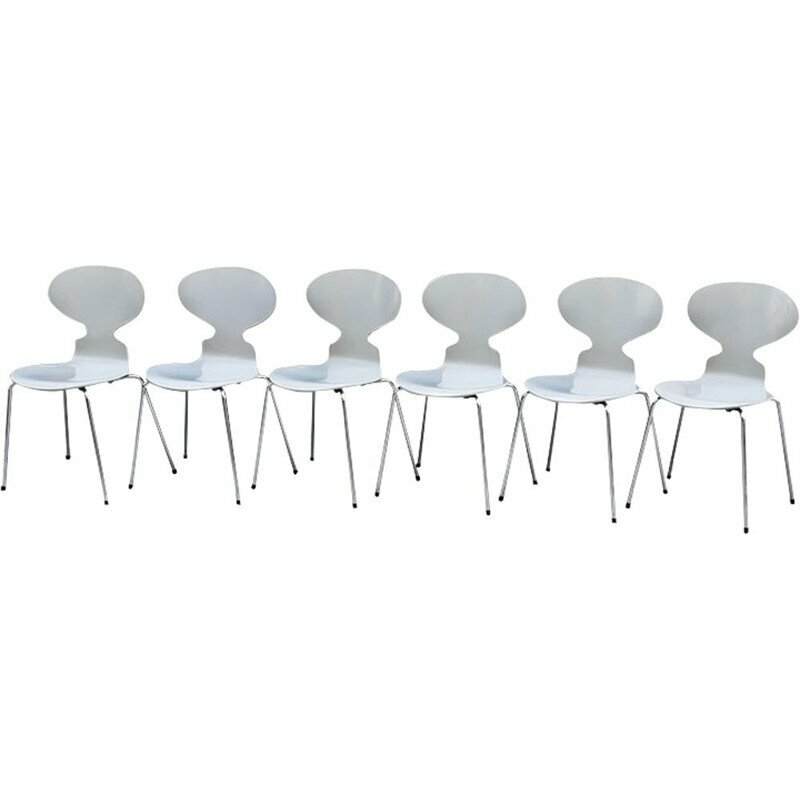 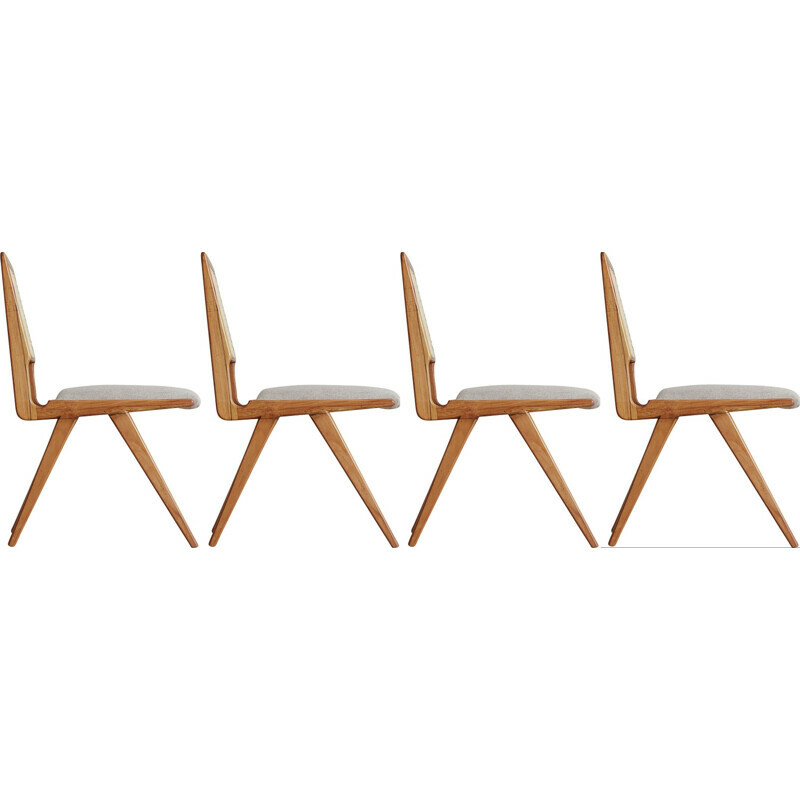 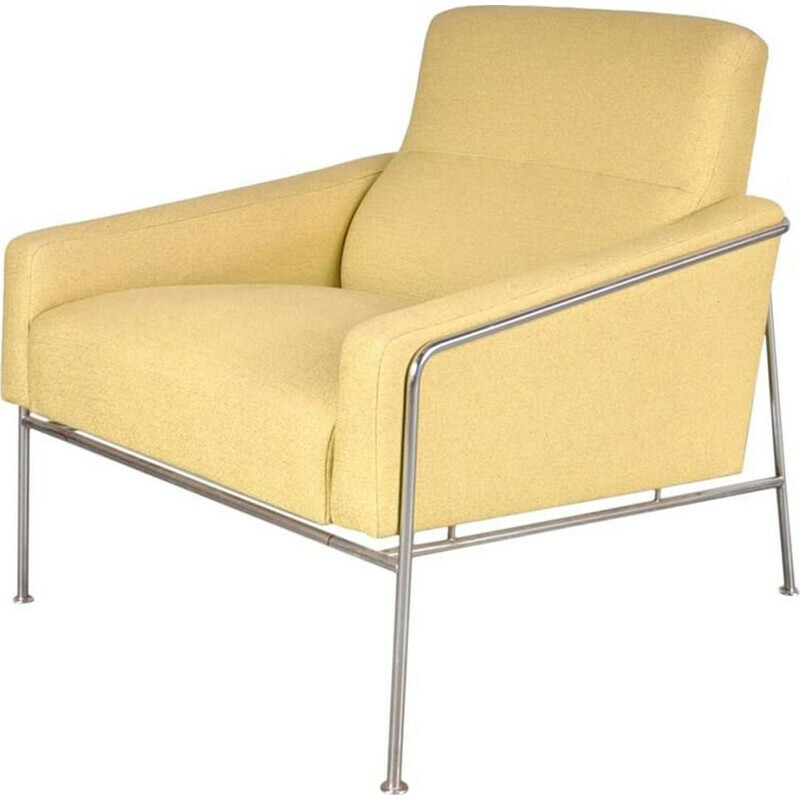 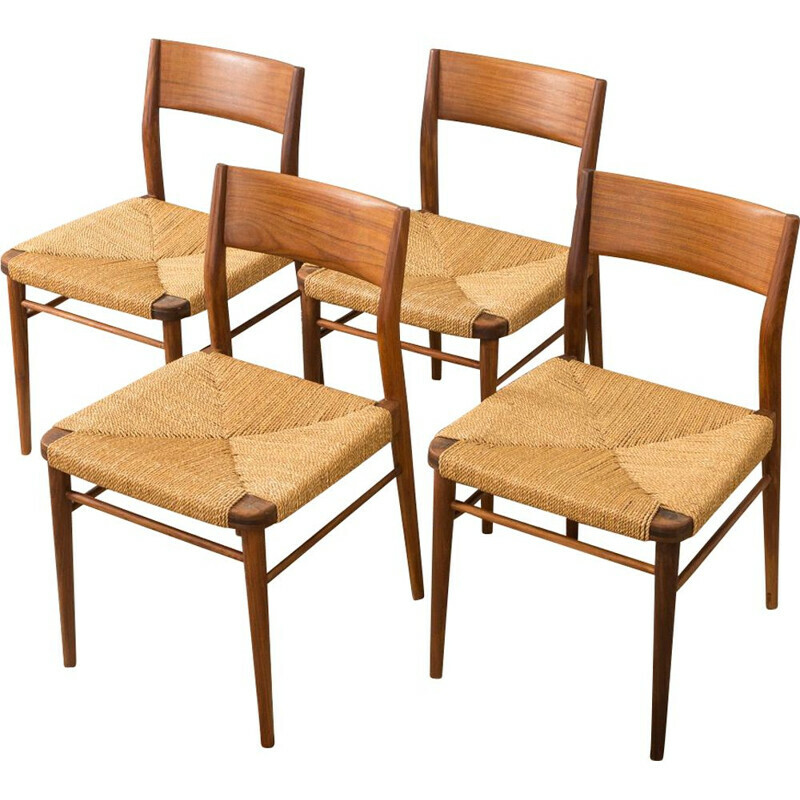 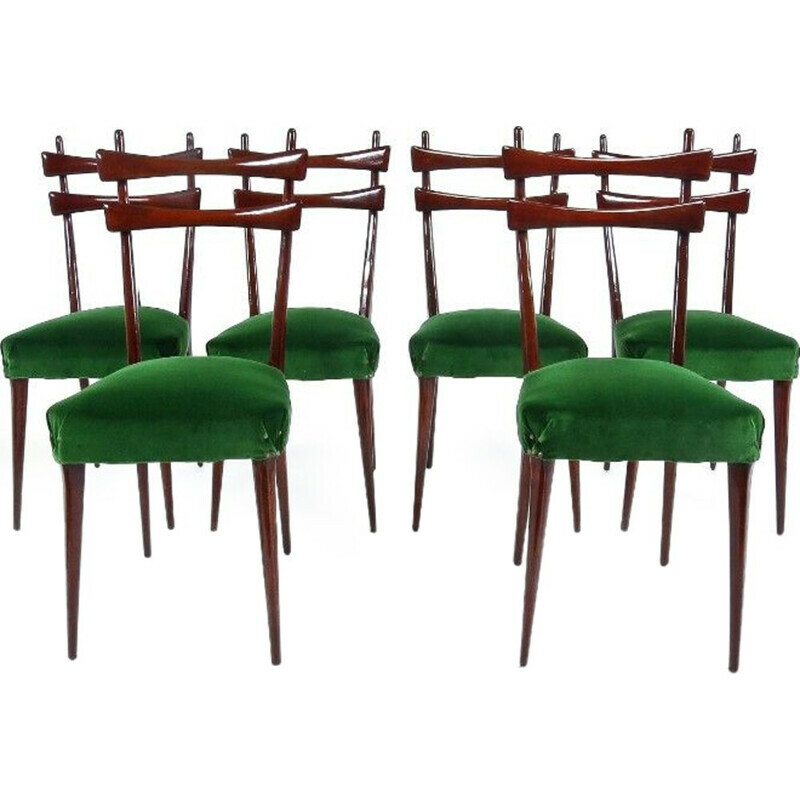 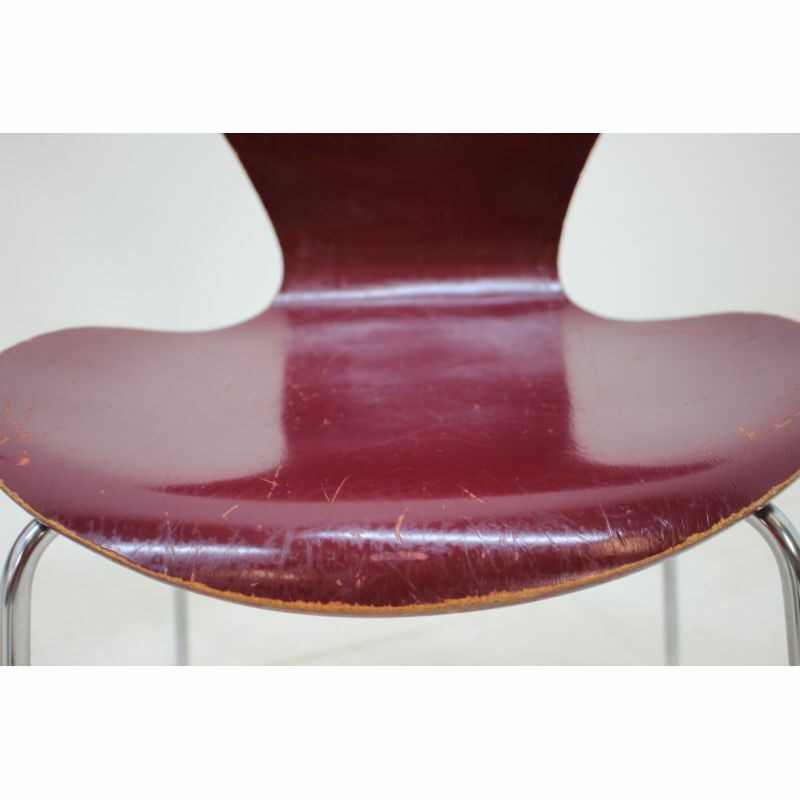 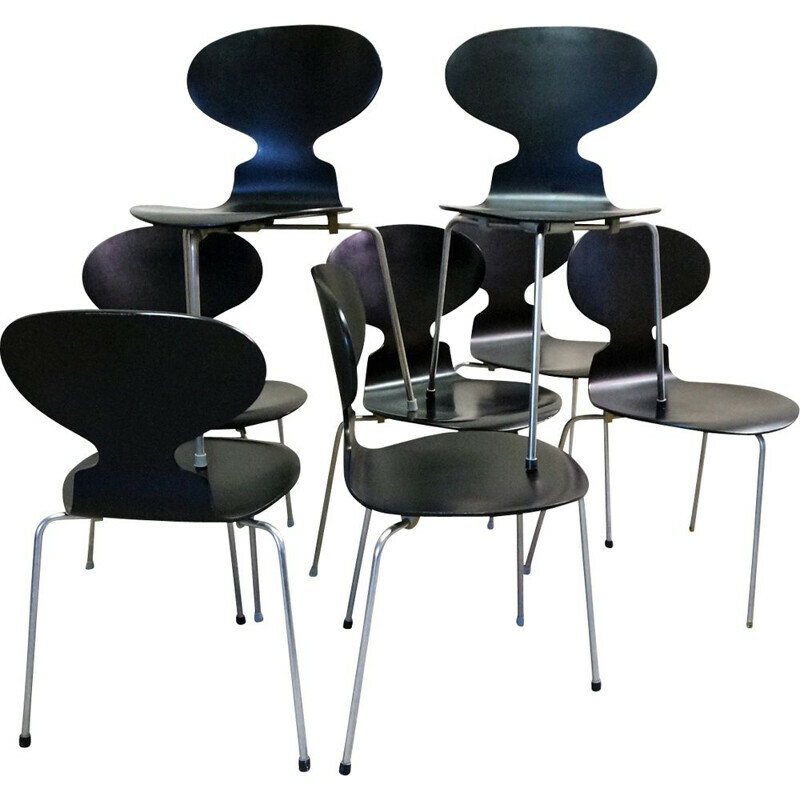 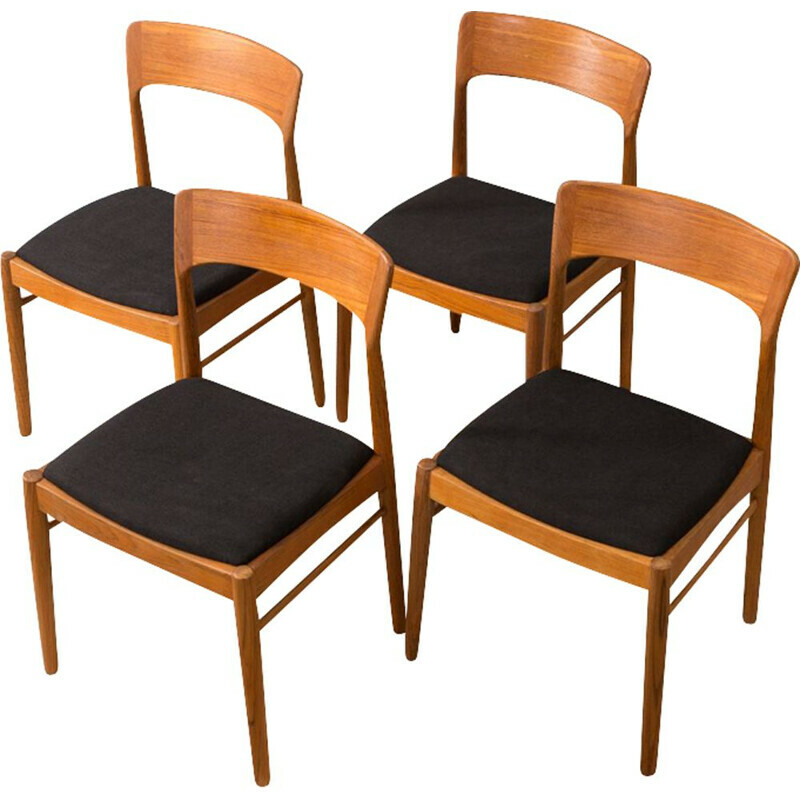 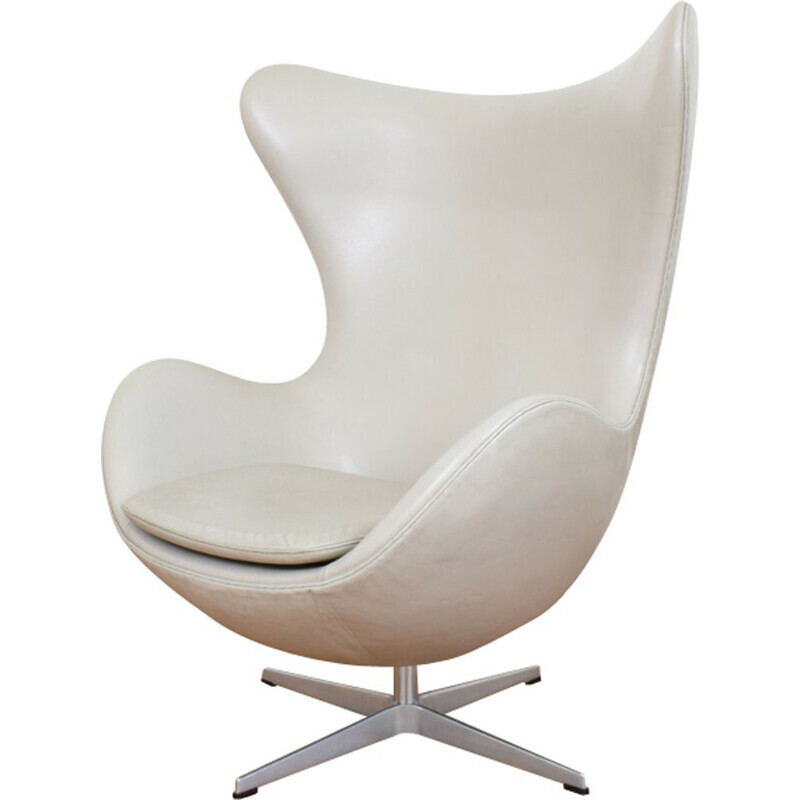 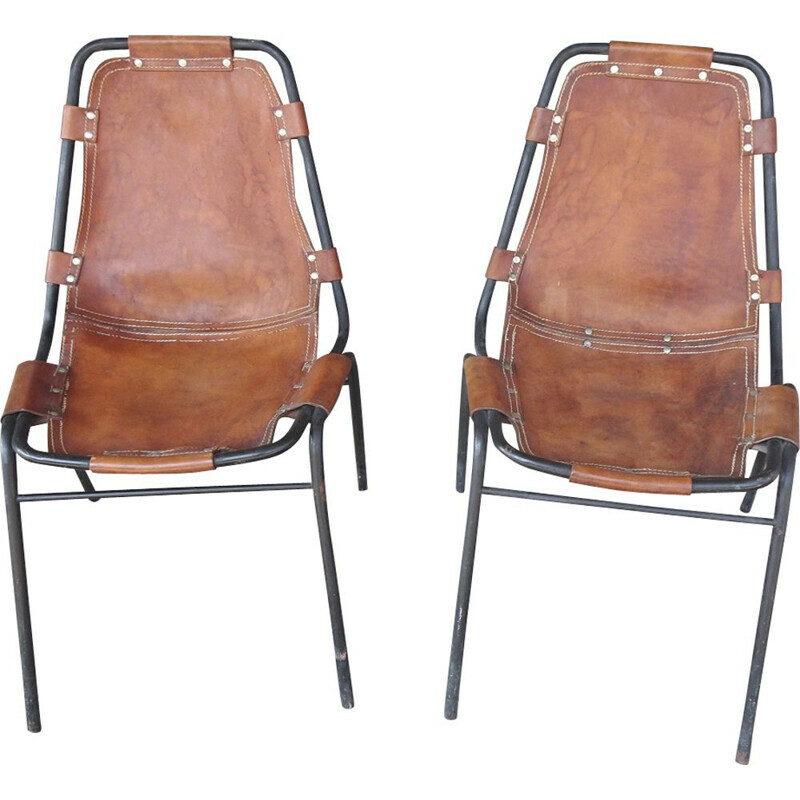 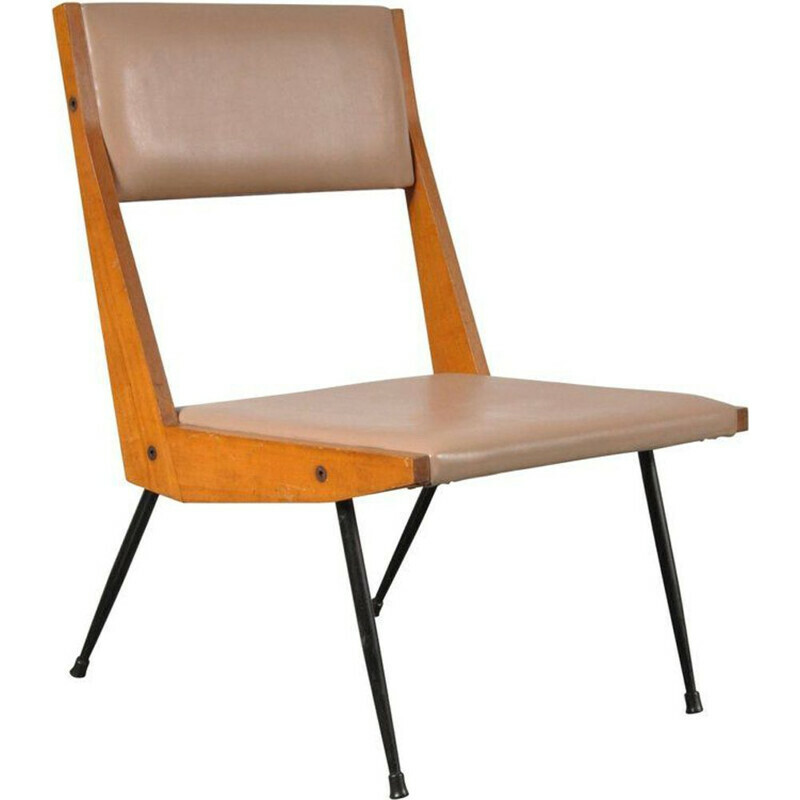 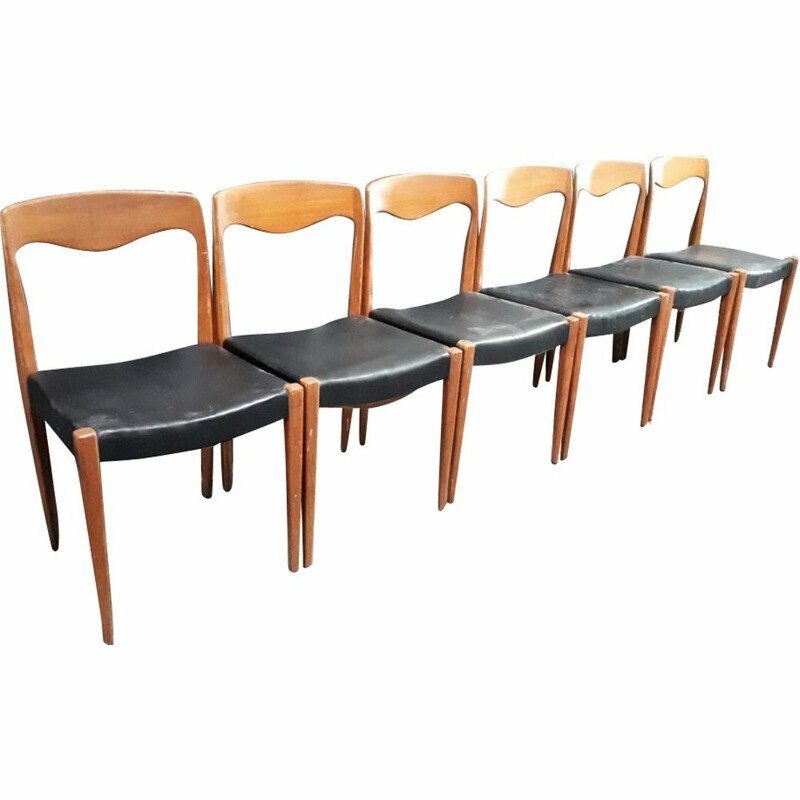 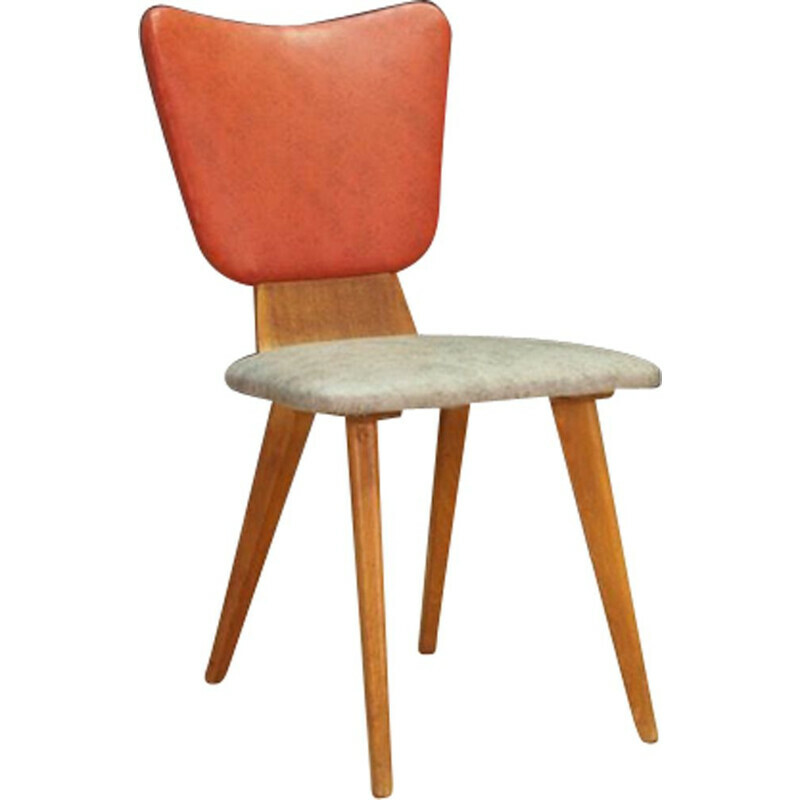 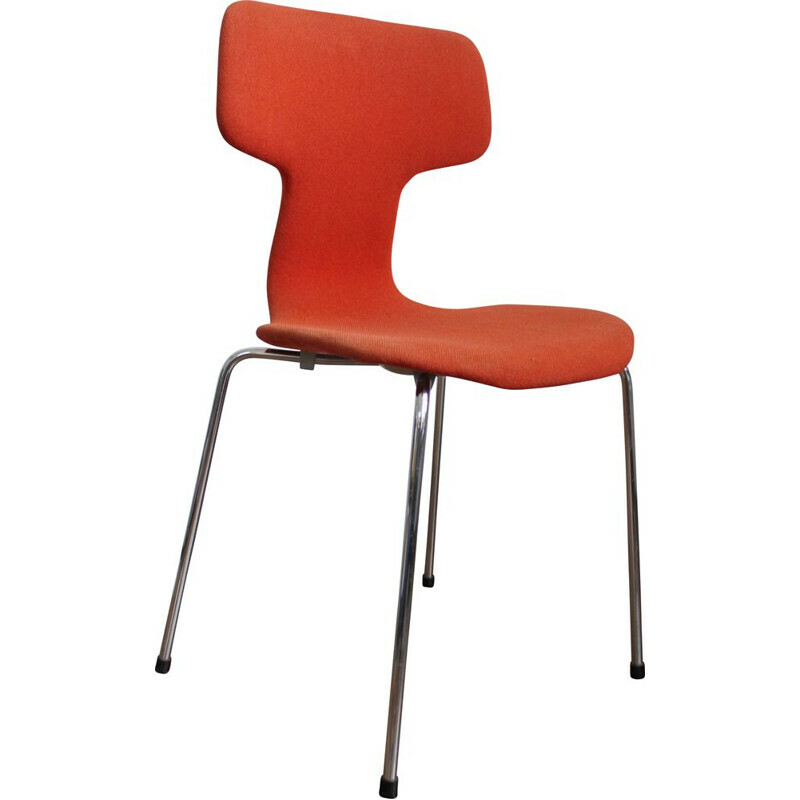 Set of iconic model chairs by Arne Jacobsen with original colors. 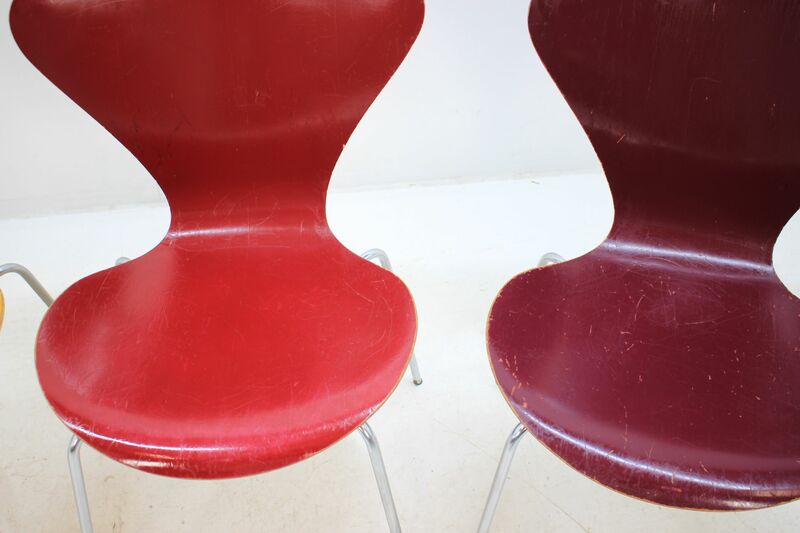 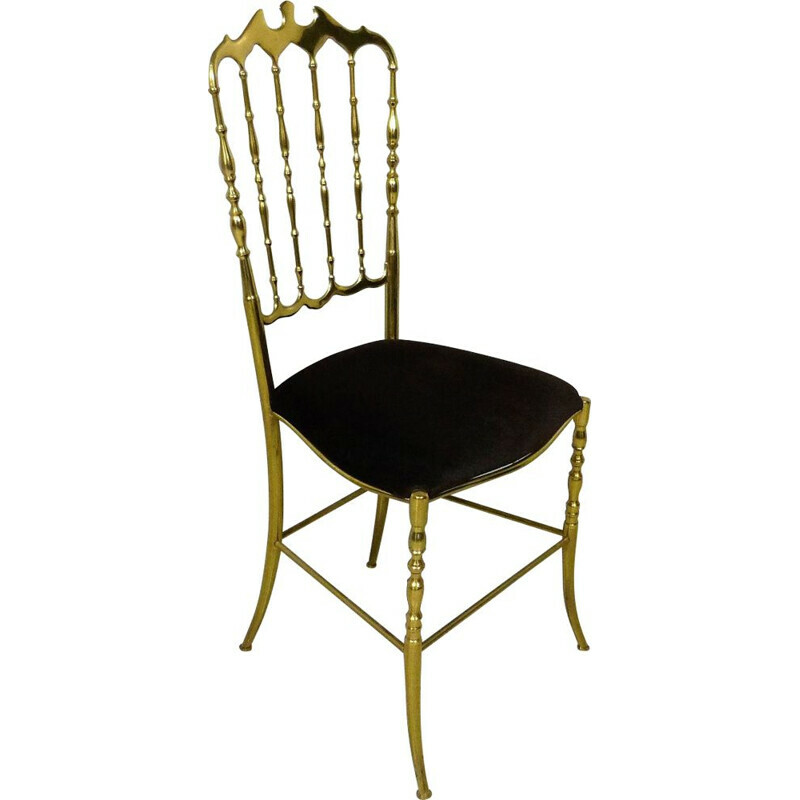 Marked chairs. 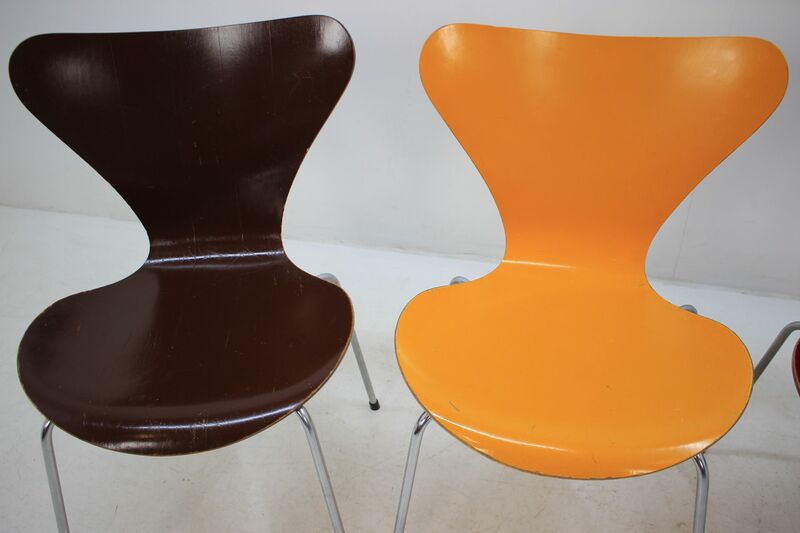 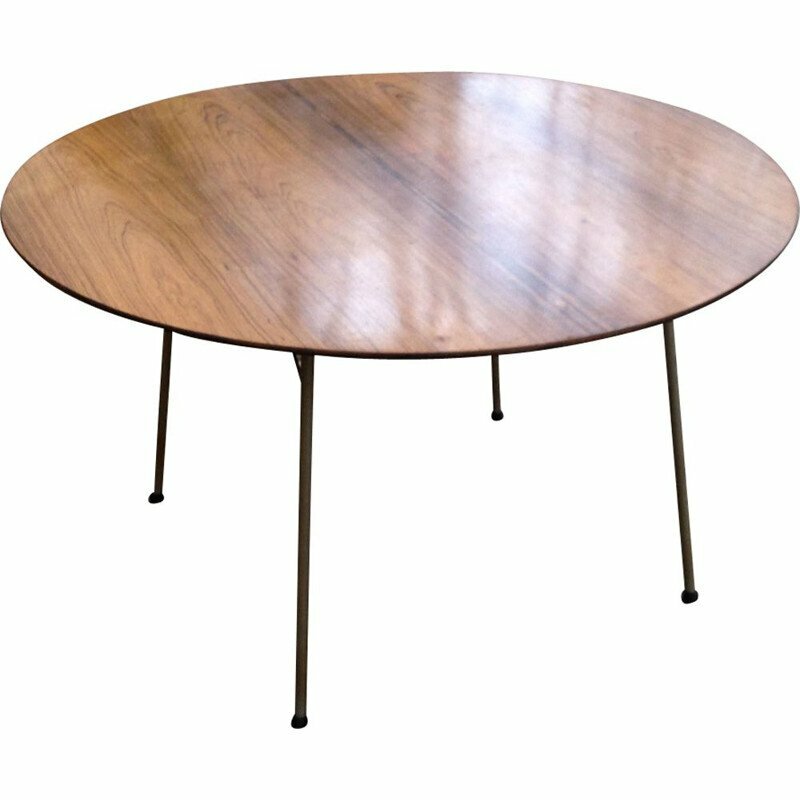 Produced in 1973 and 1974. 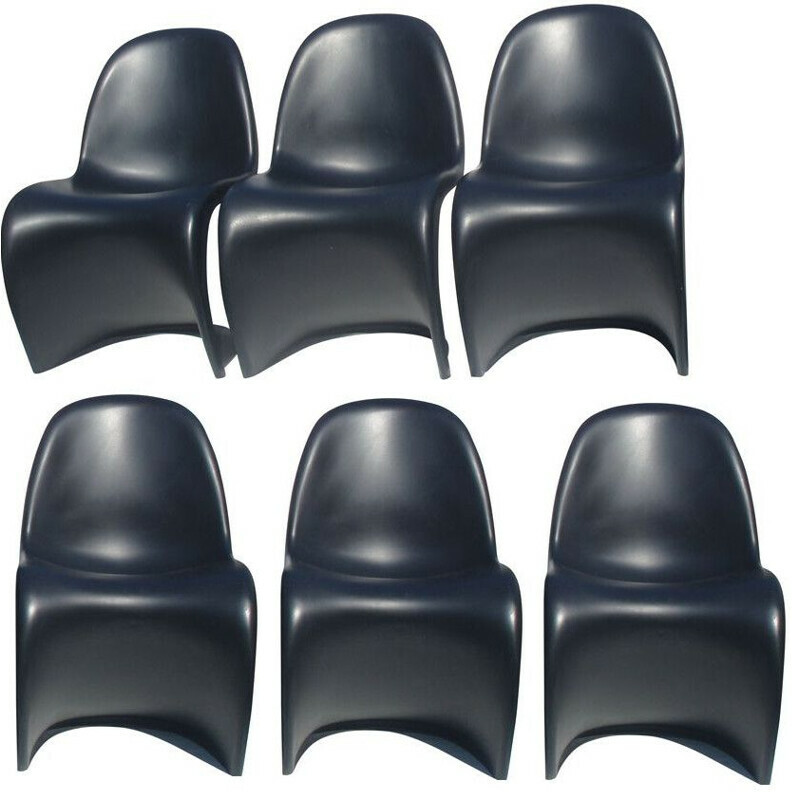 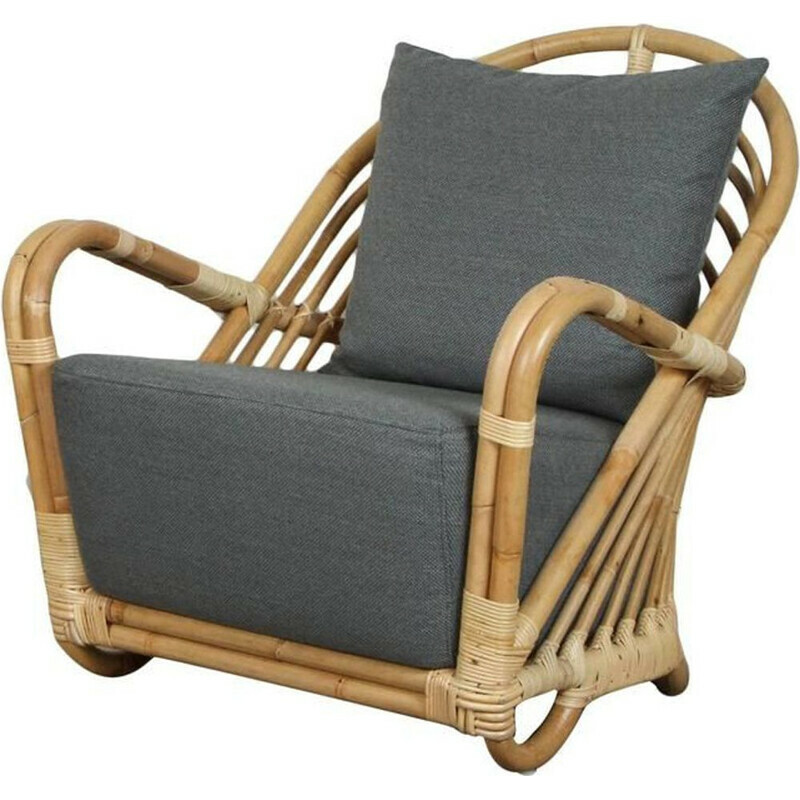 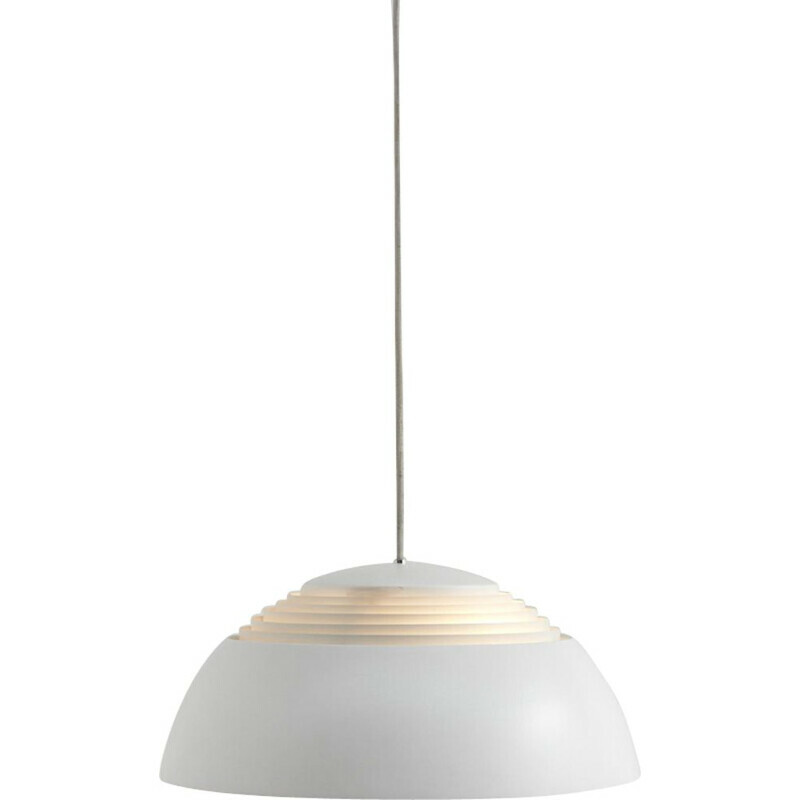 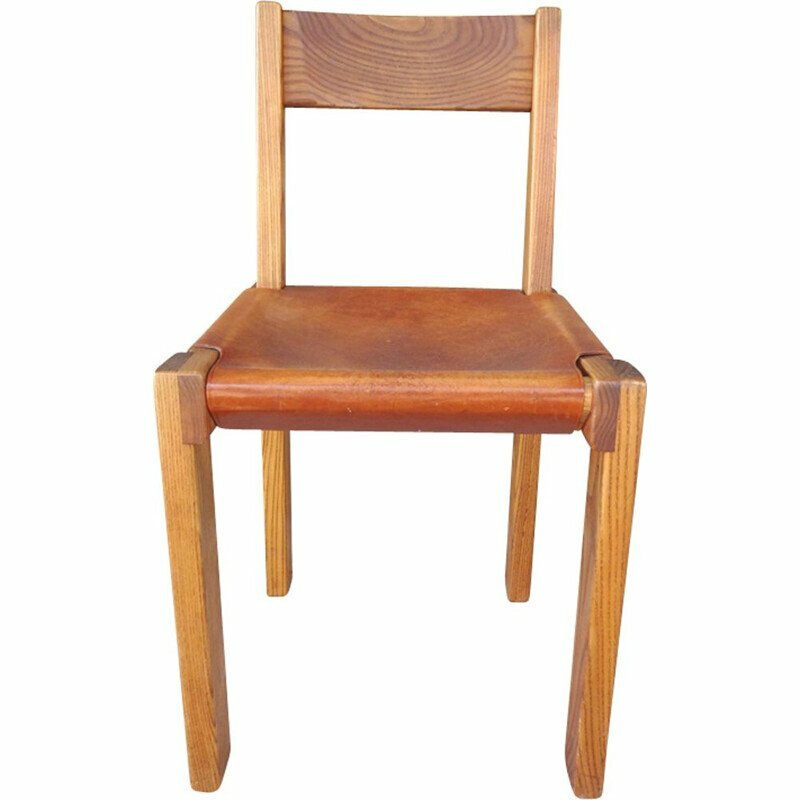 Seat height: 42cm.